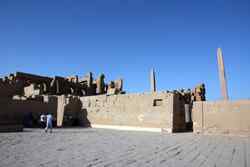 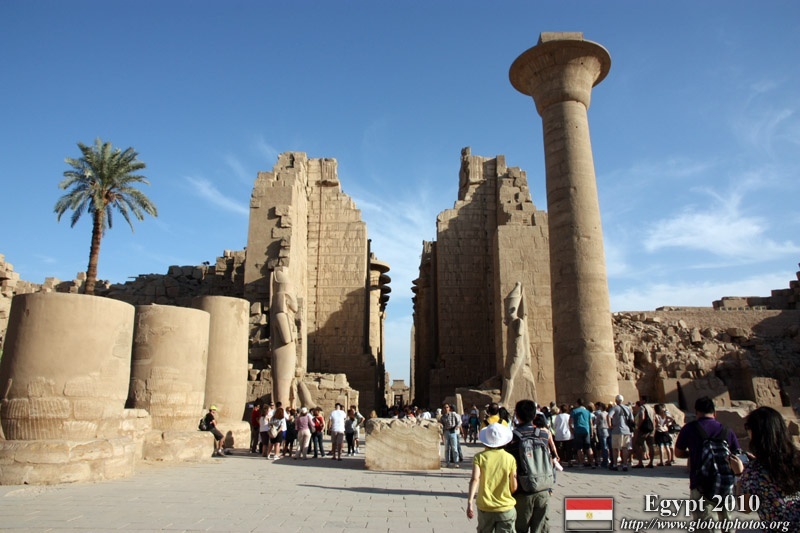 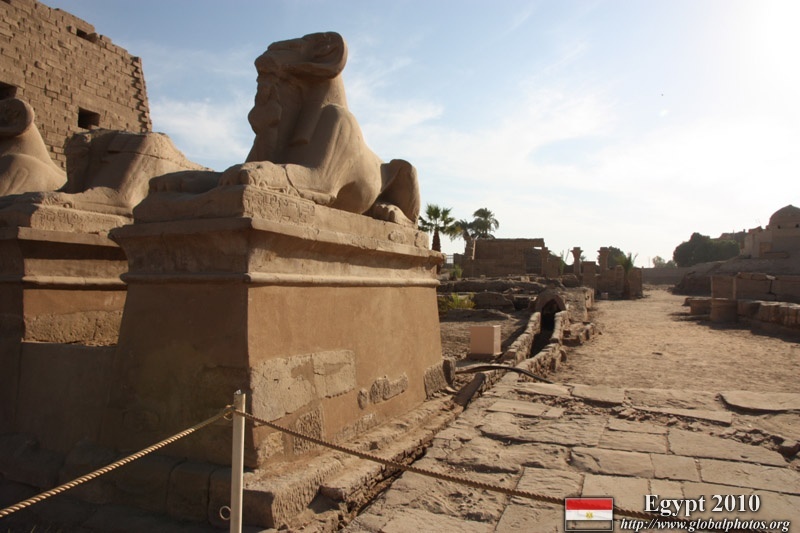 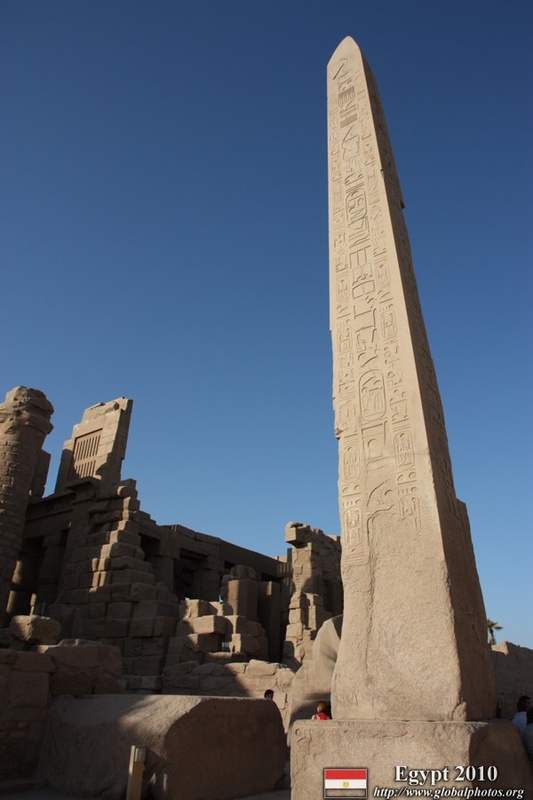 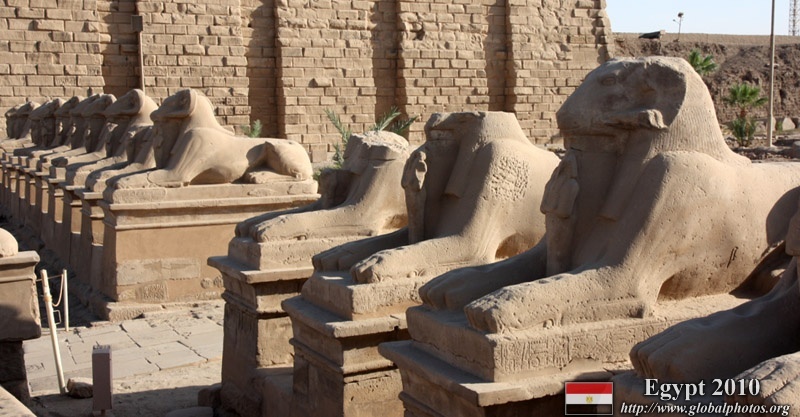 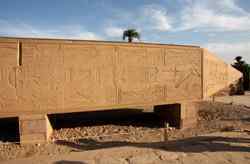 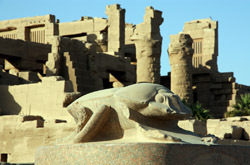 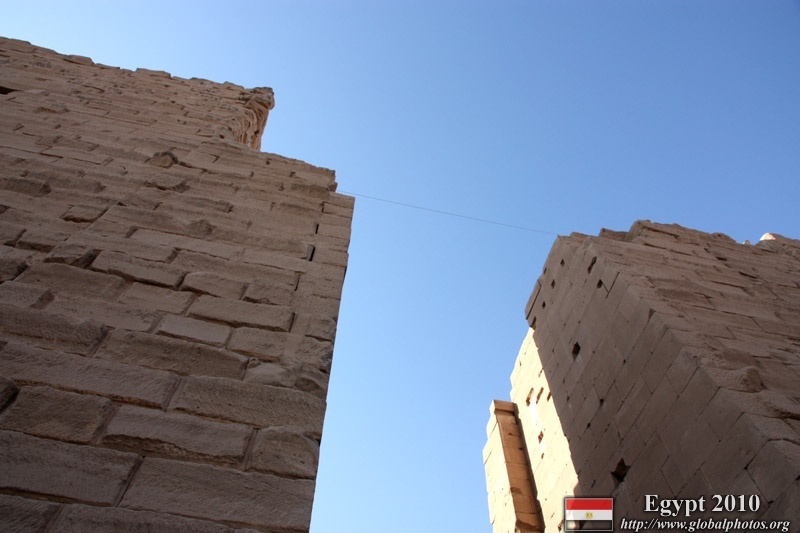 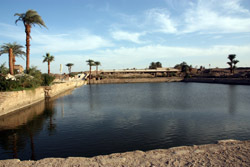 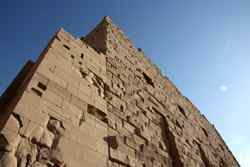 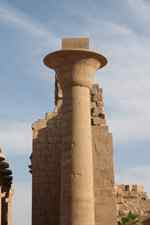 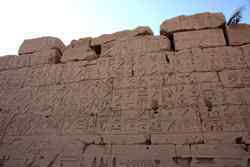 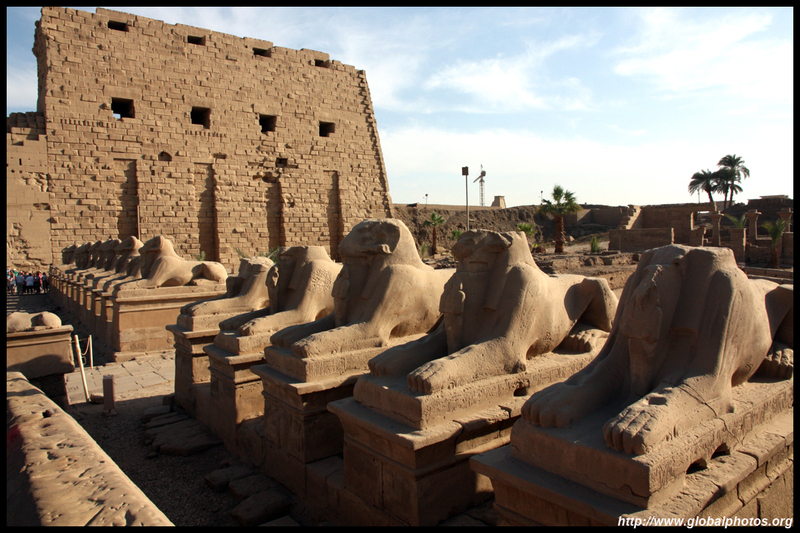 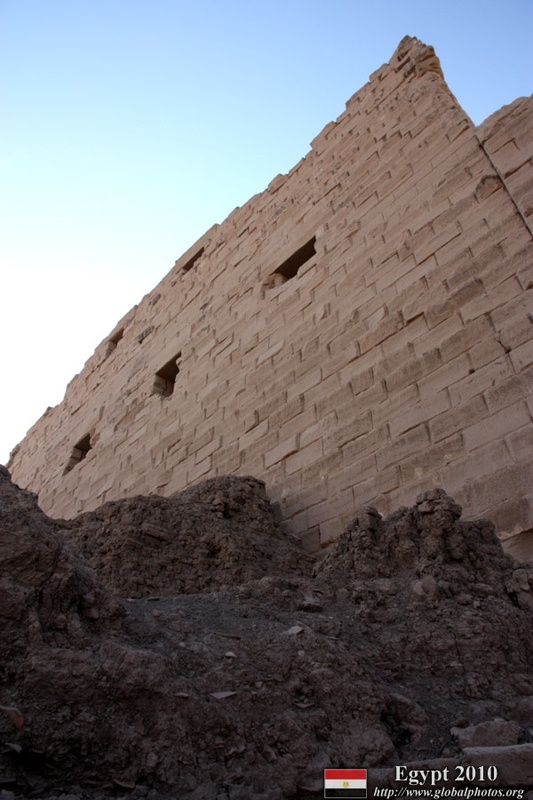 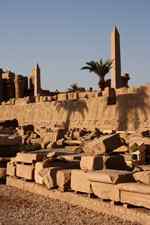 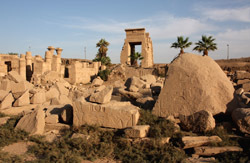 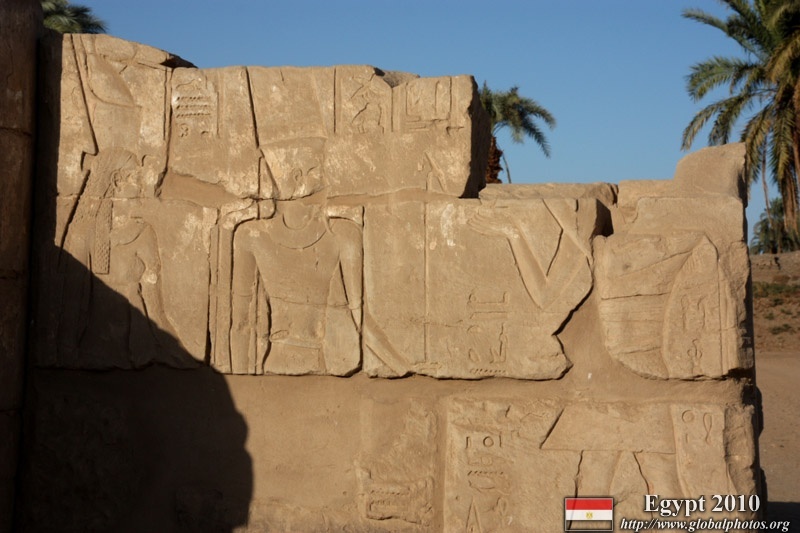 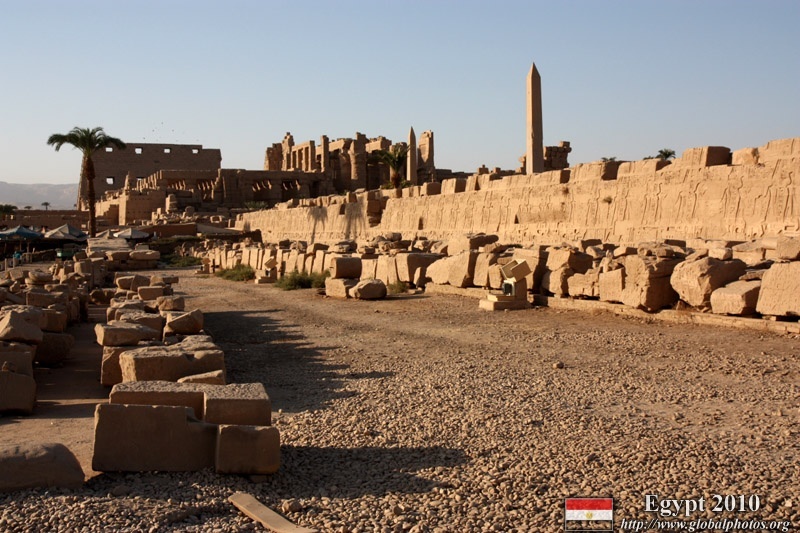 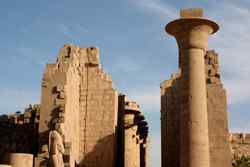 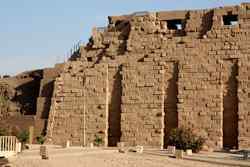 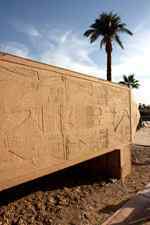 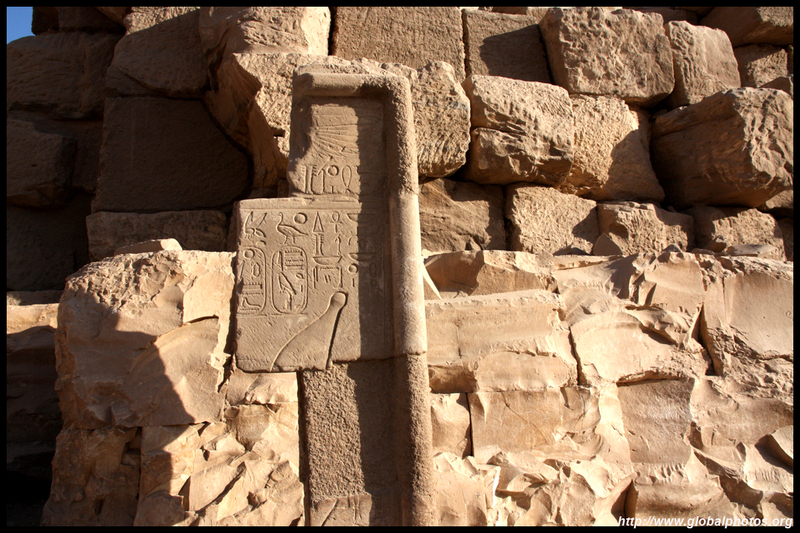 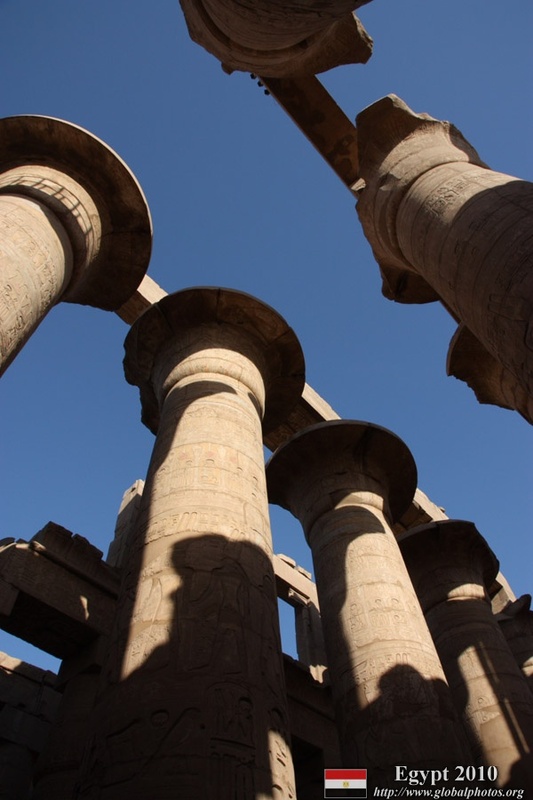 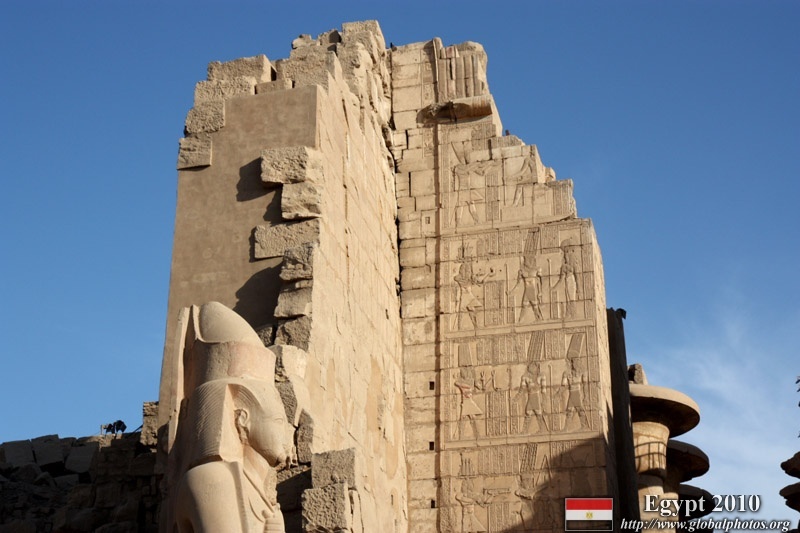 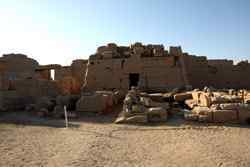 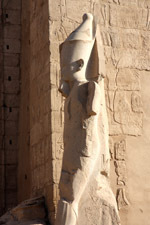 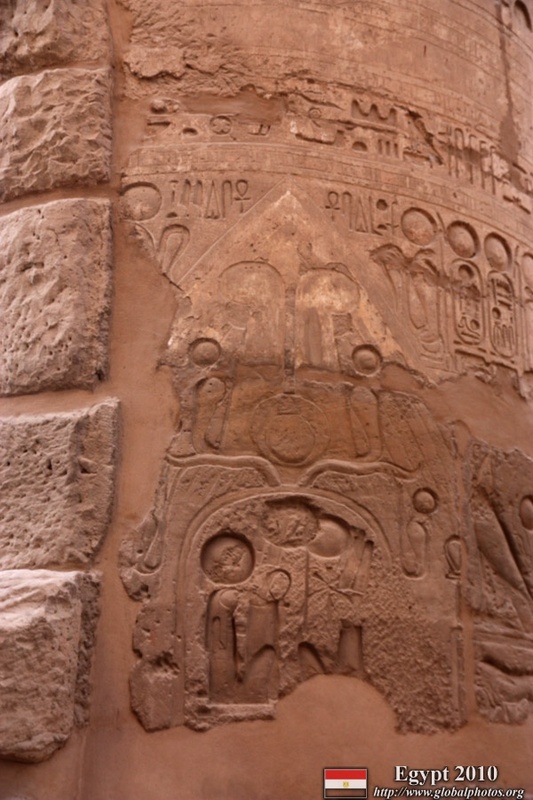 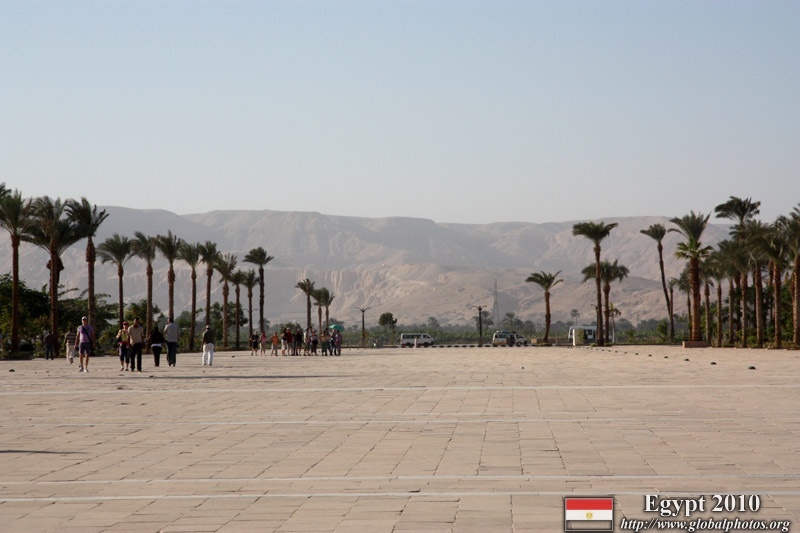 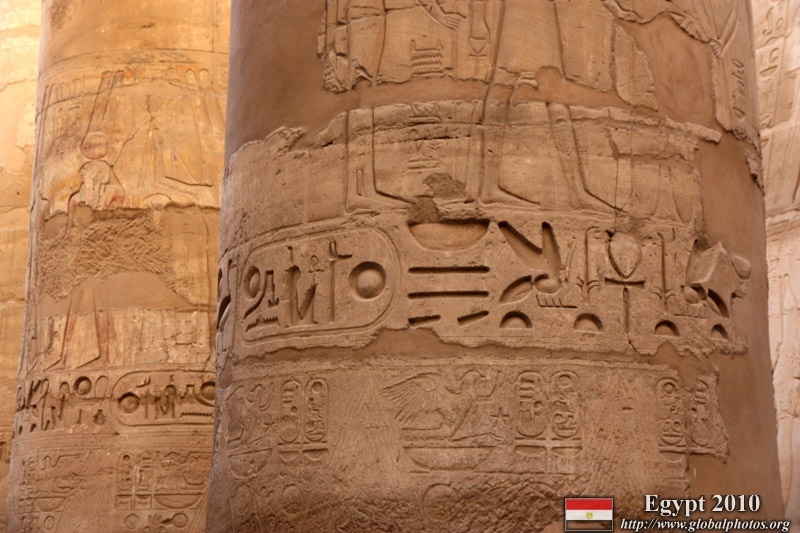 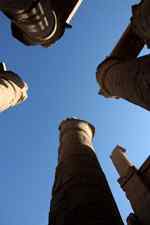 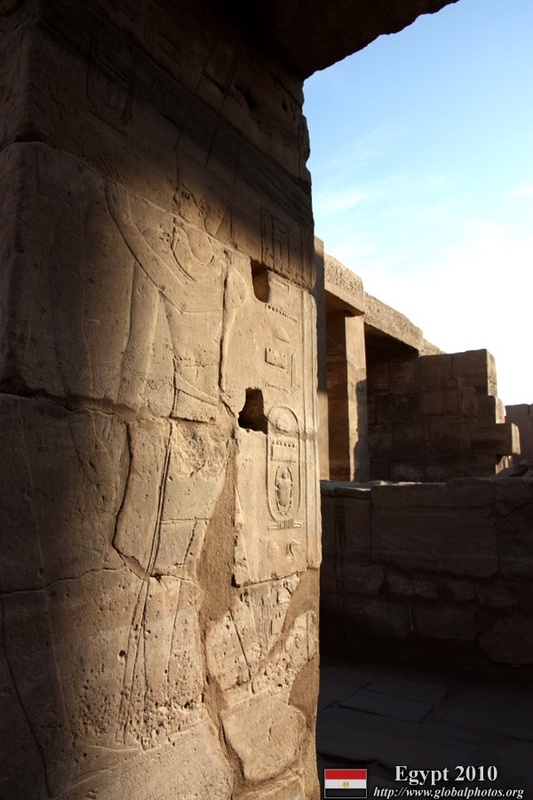 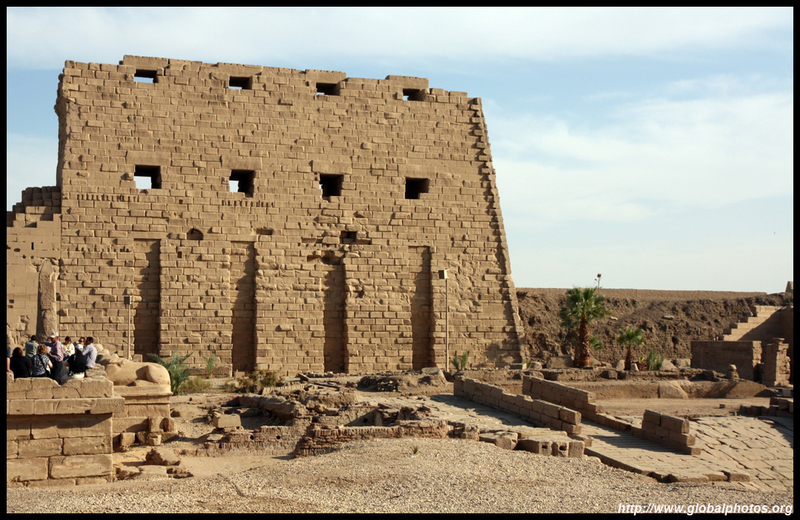 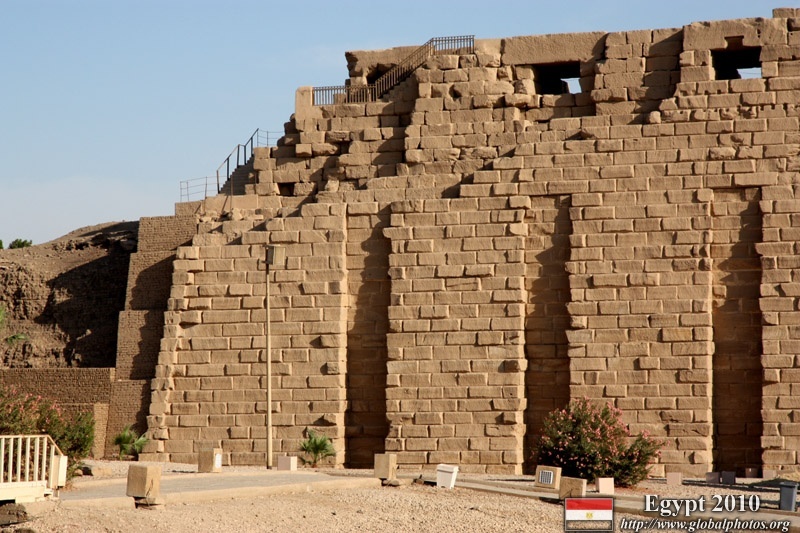 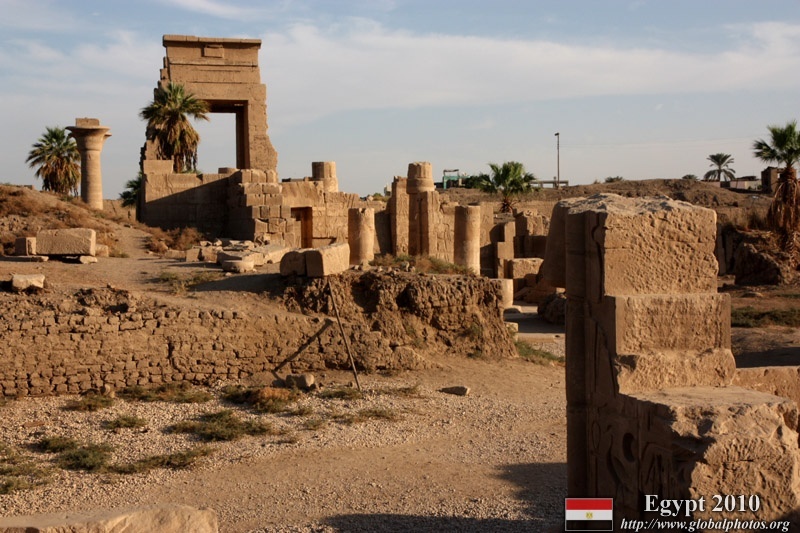 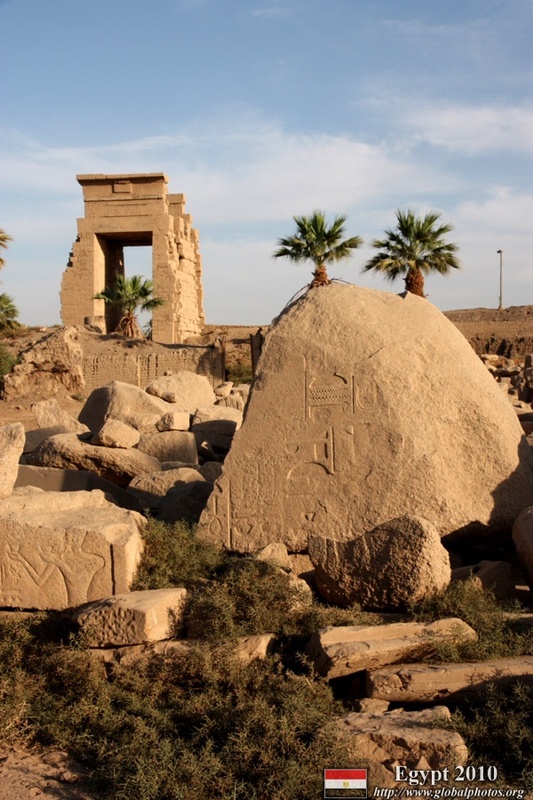 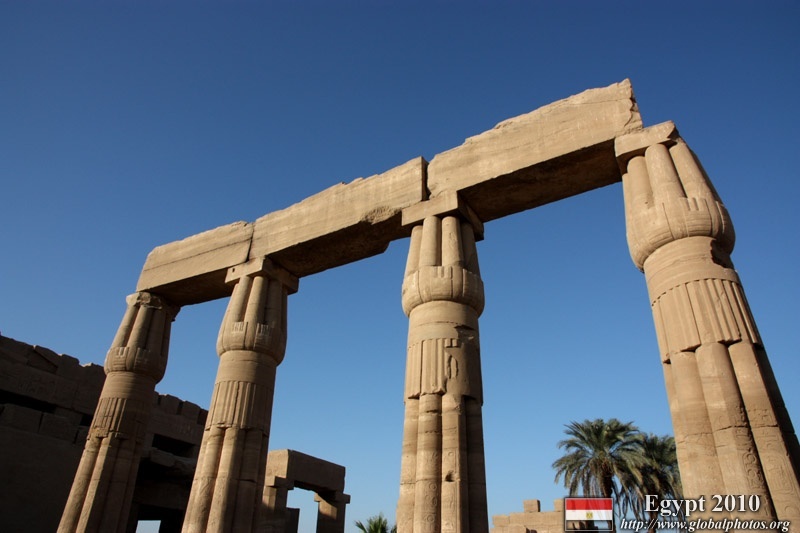 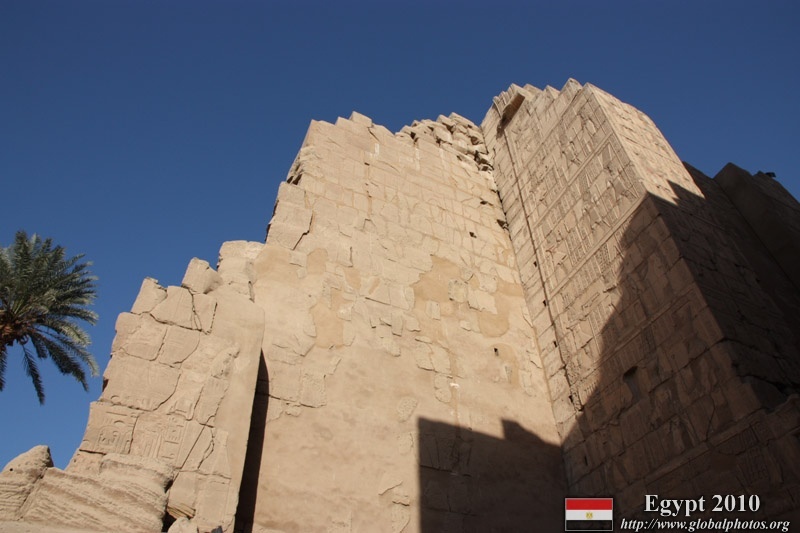 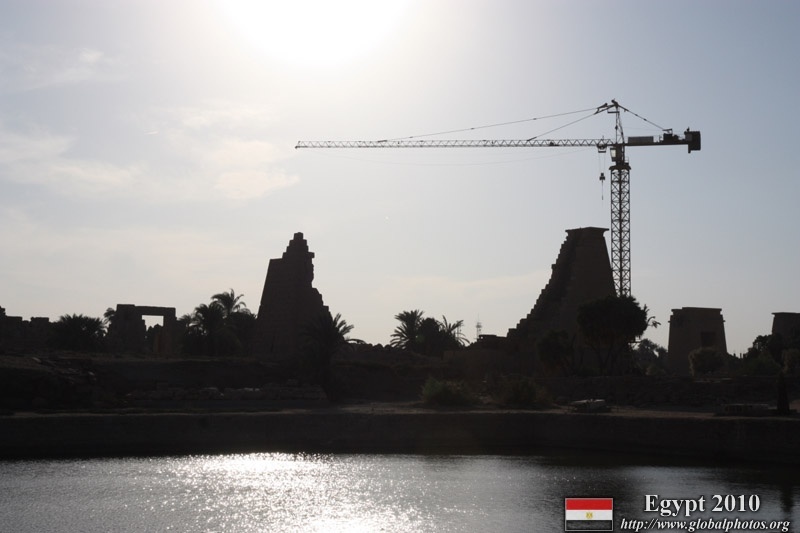 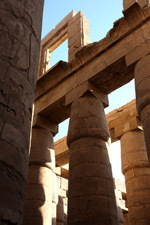 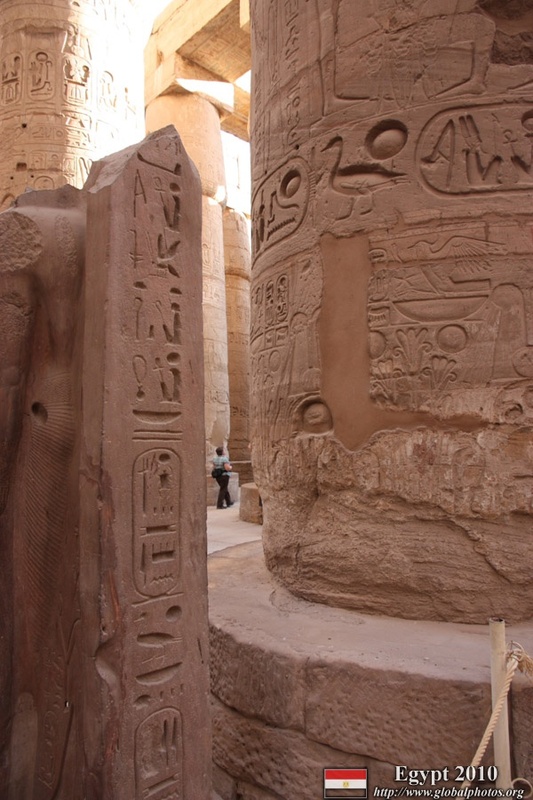 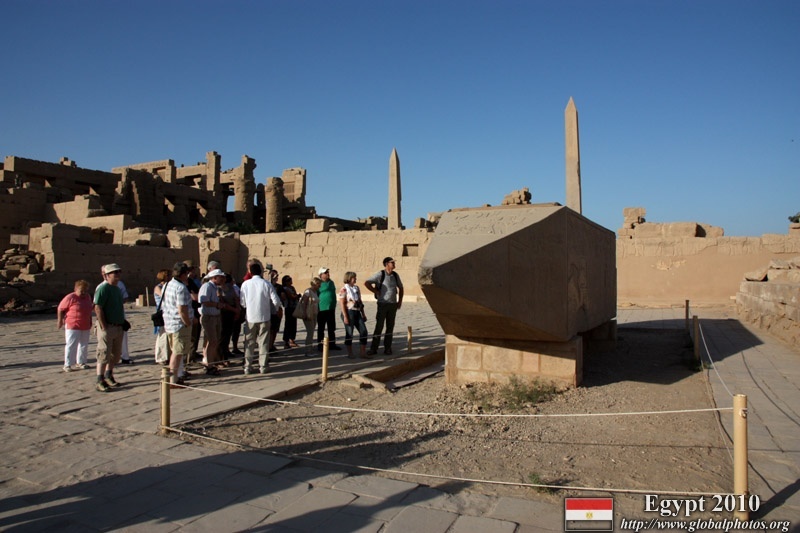 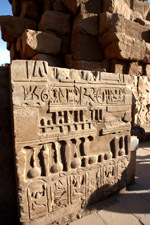 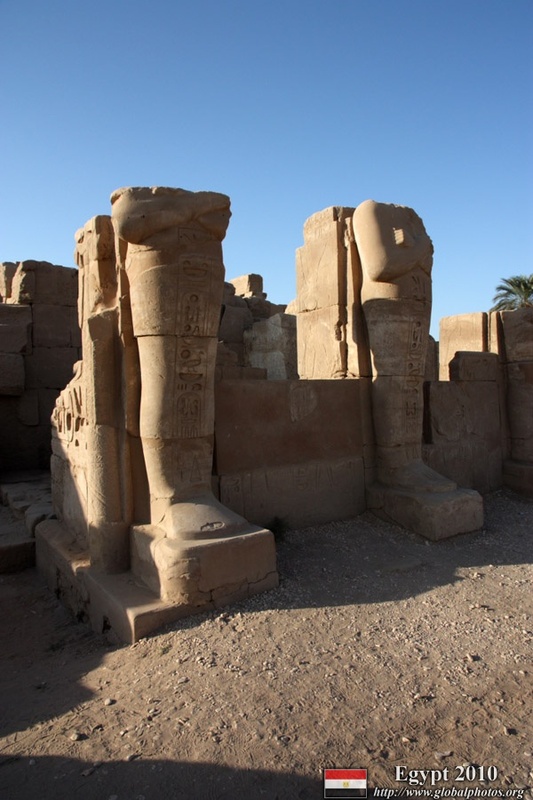 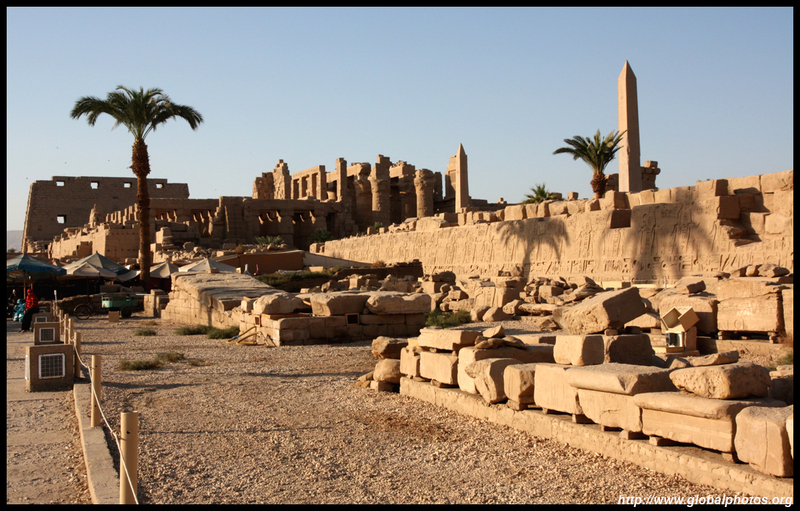 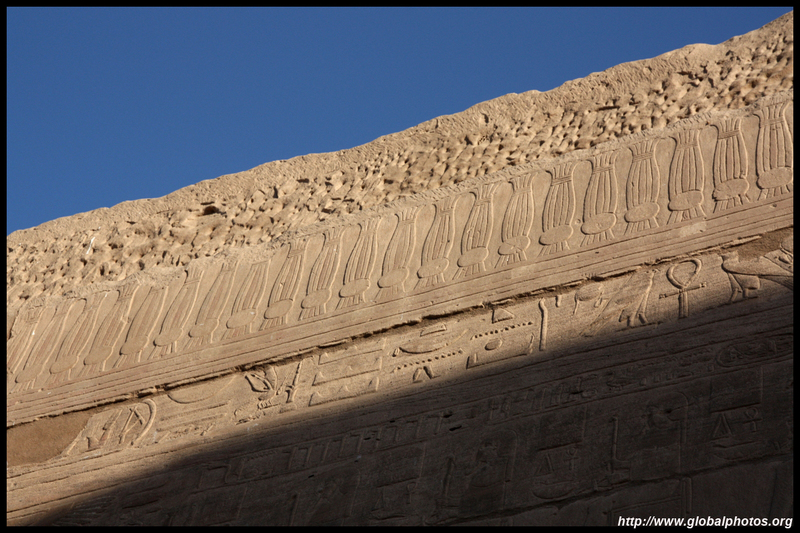 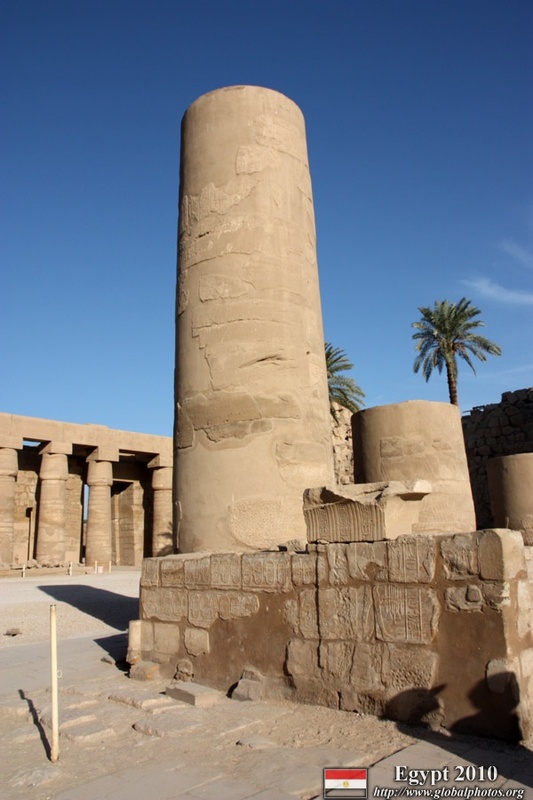 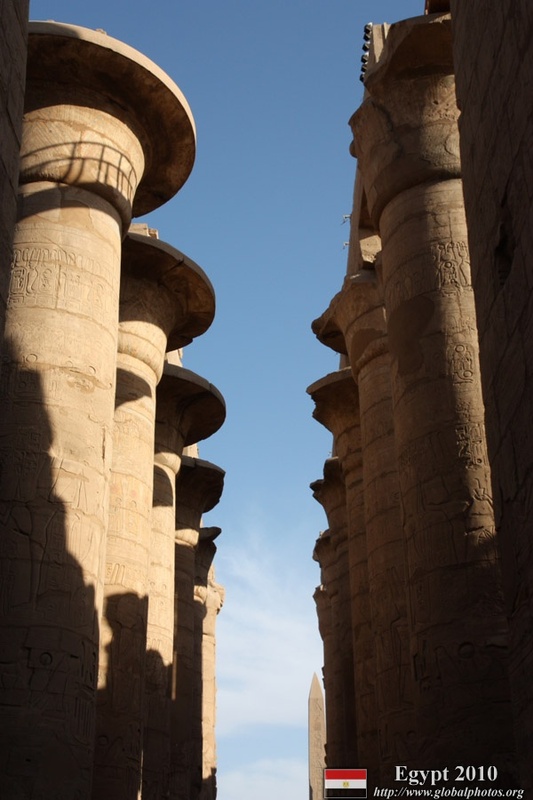 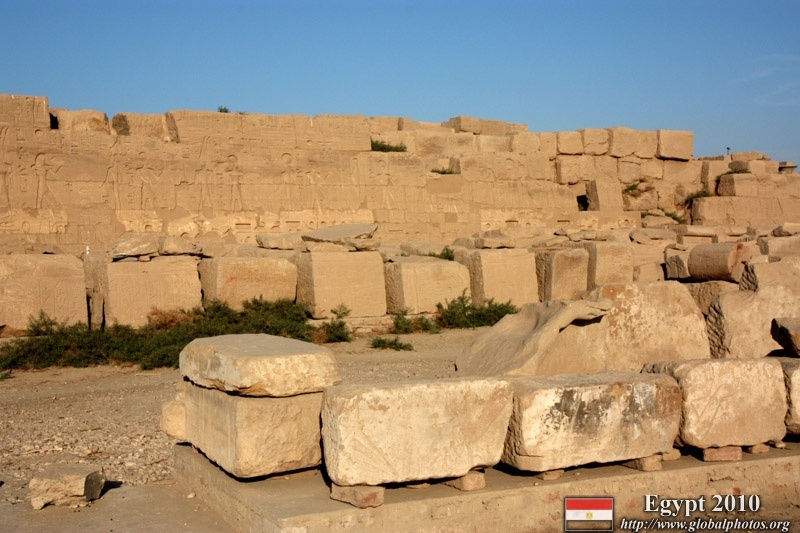 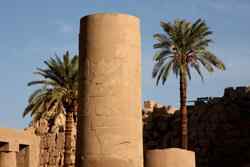 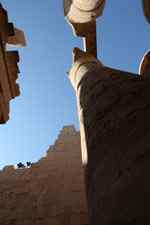 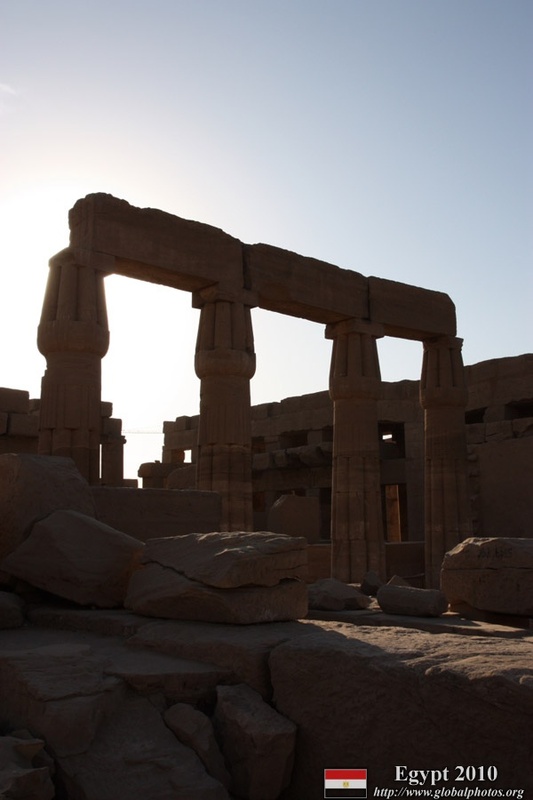 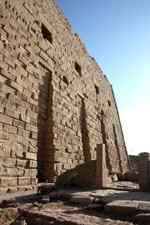 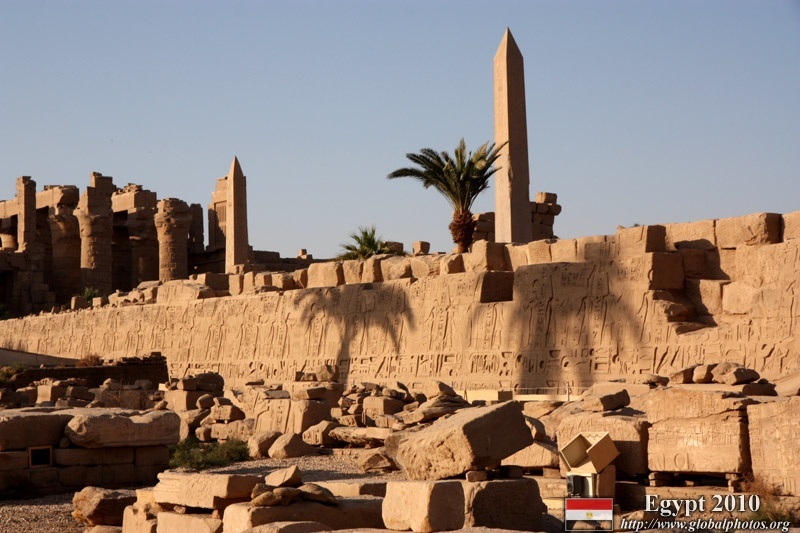 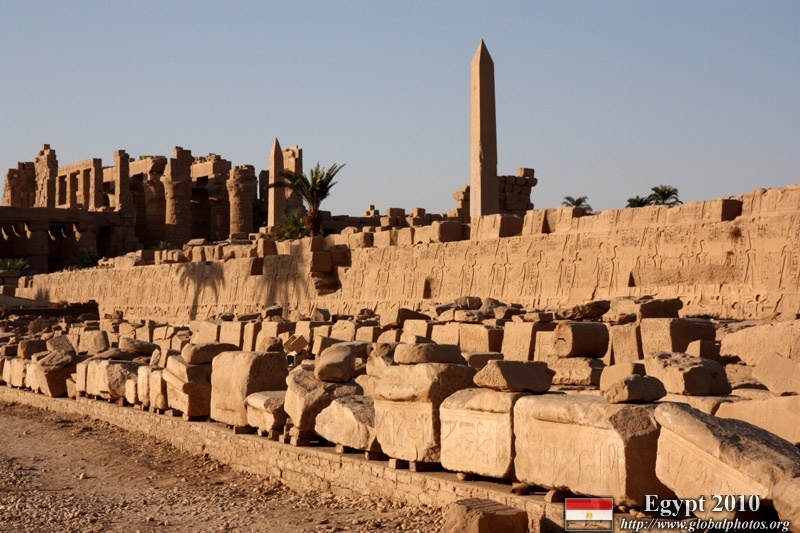 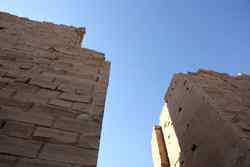 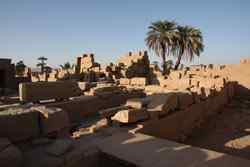 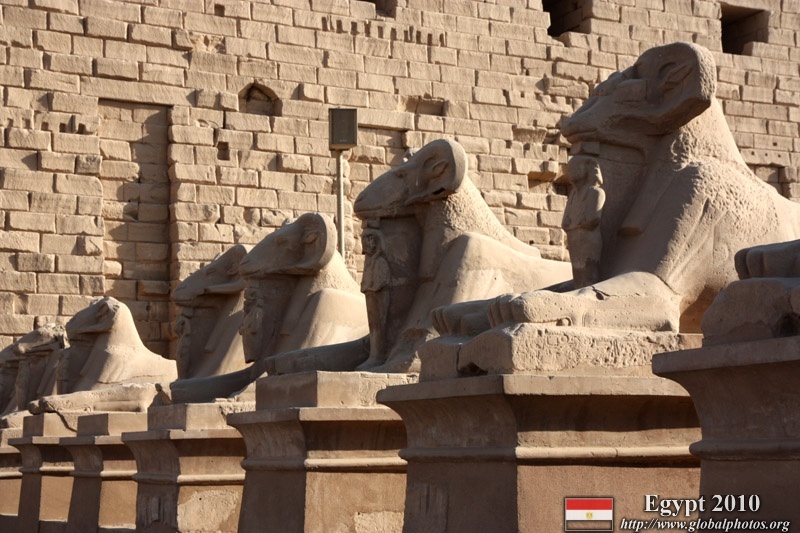 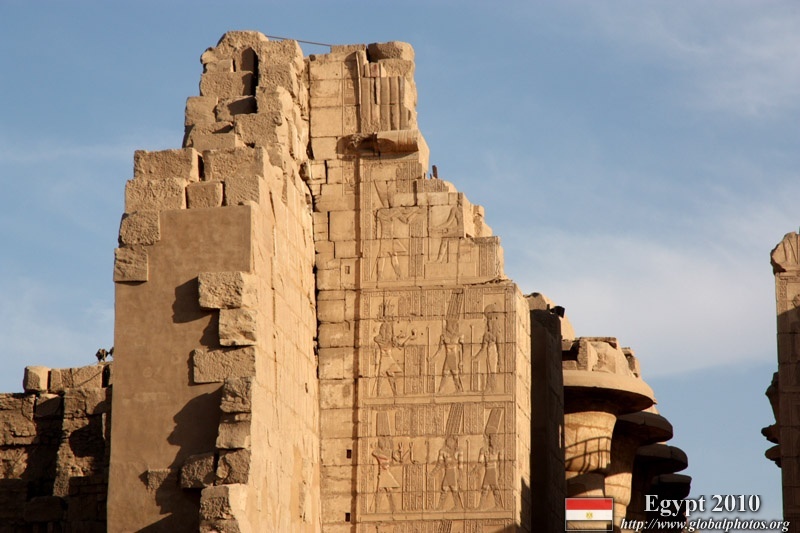 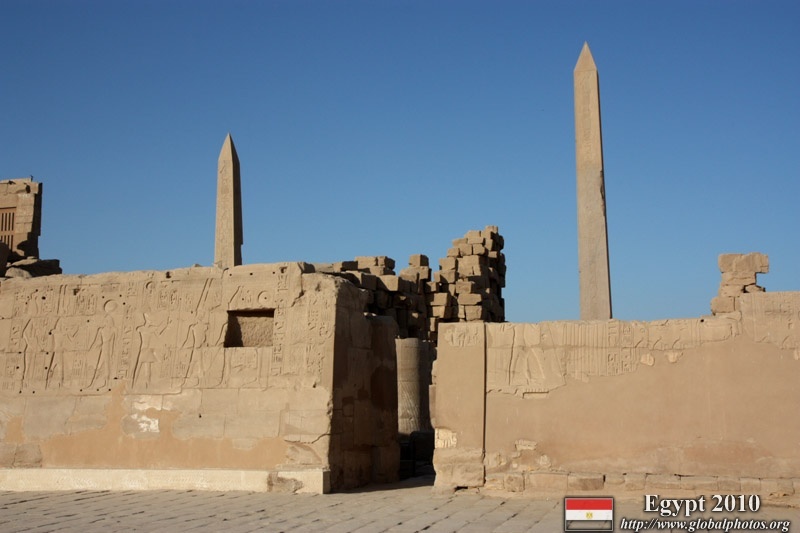 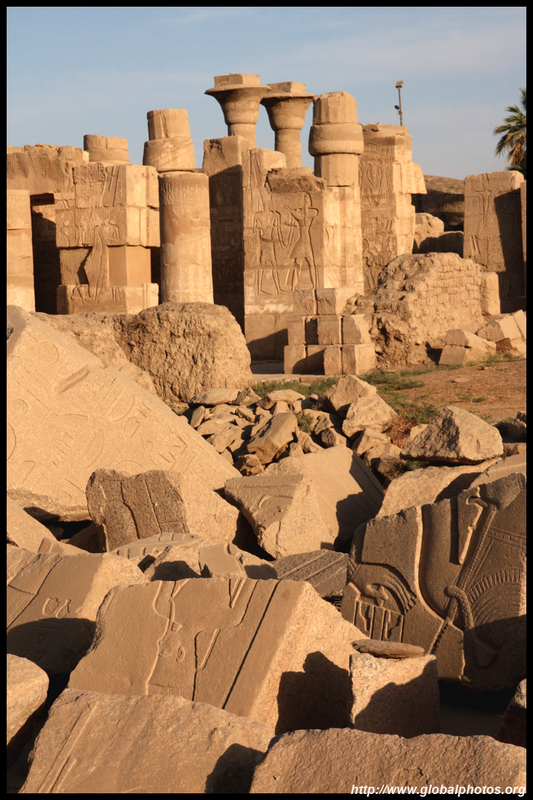 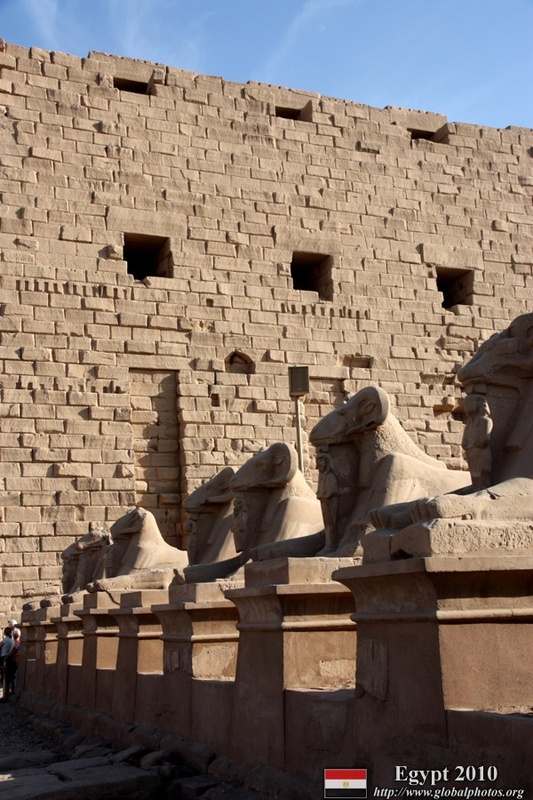 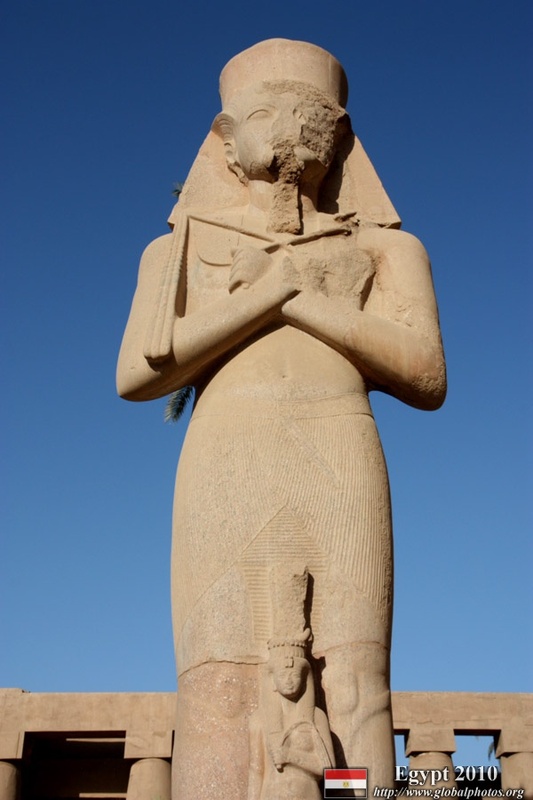 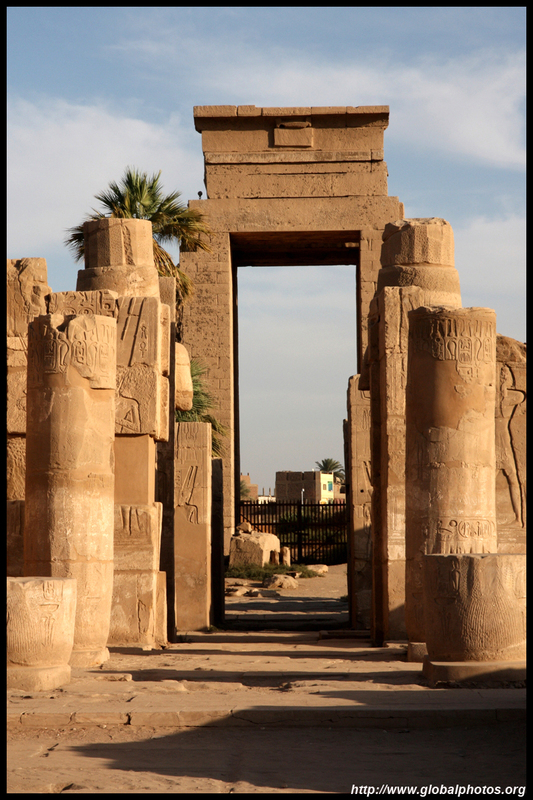 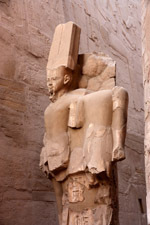 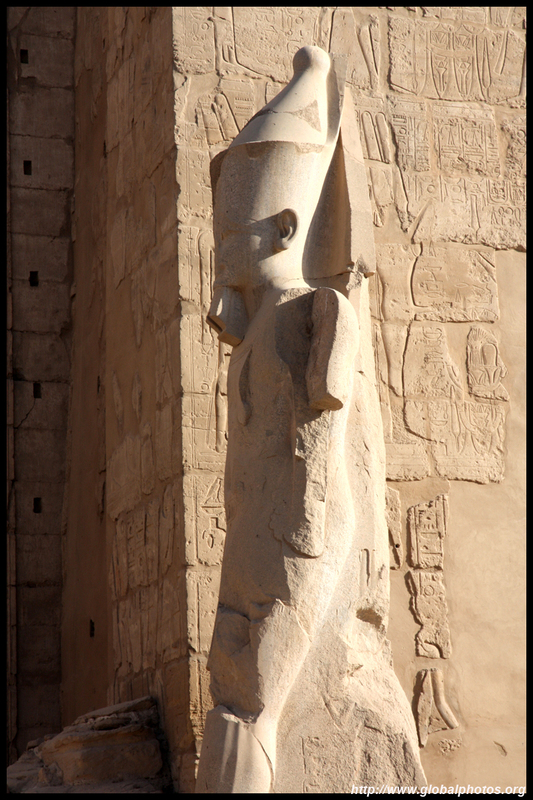 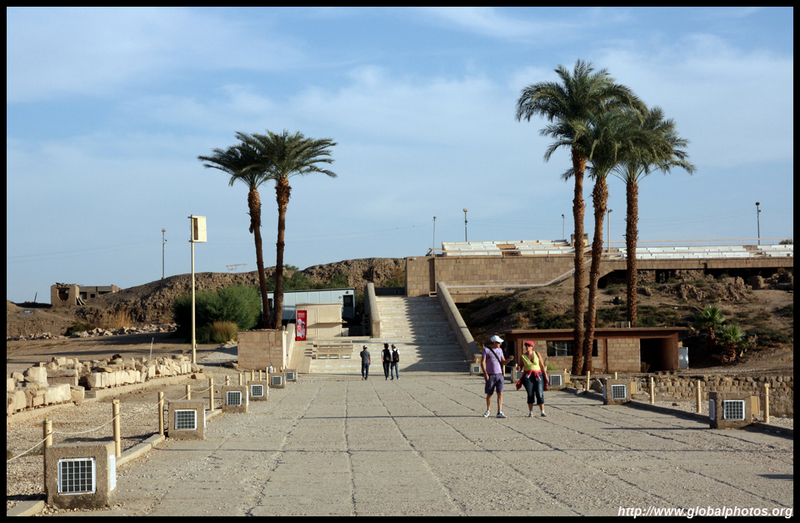 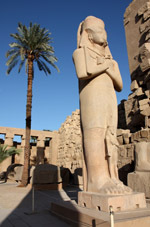 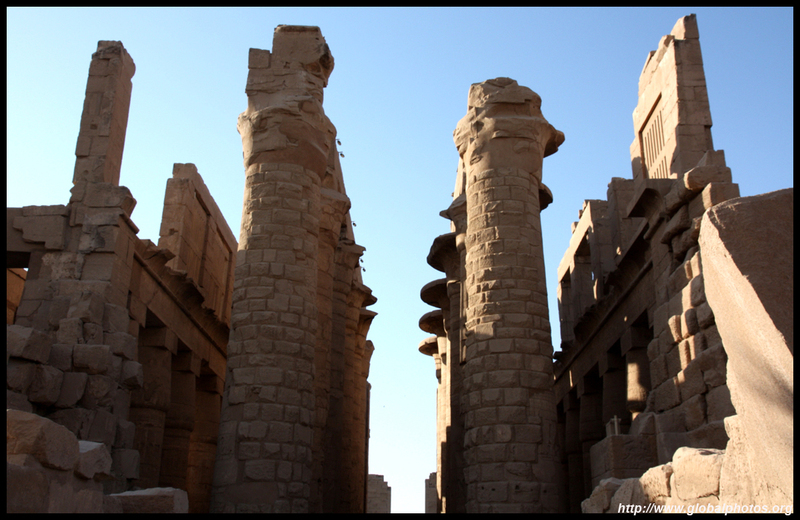 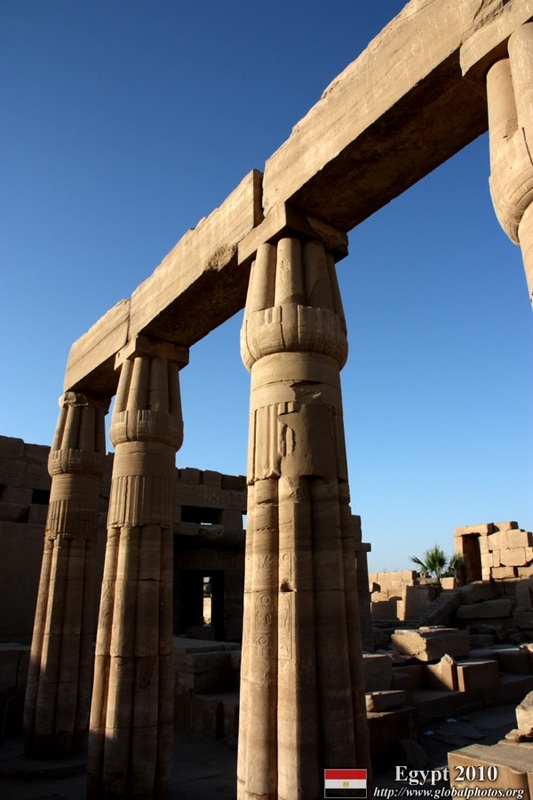 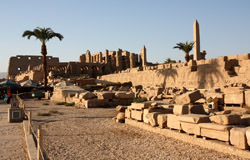 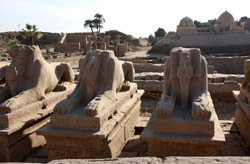 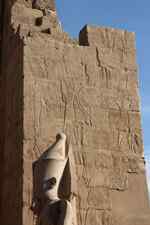 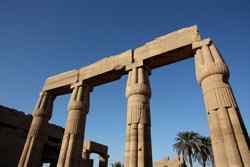 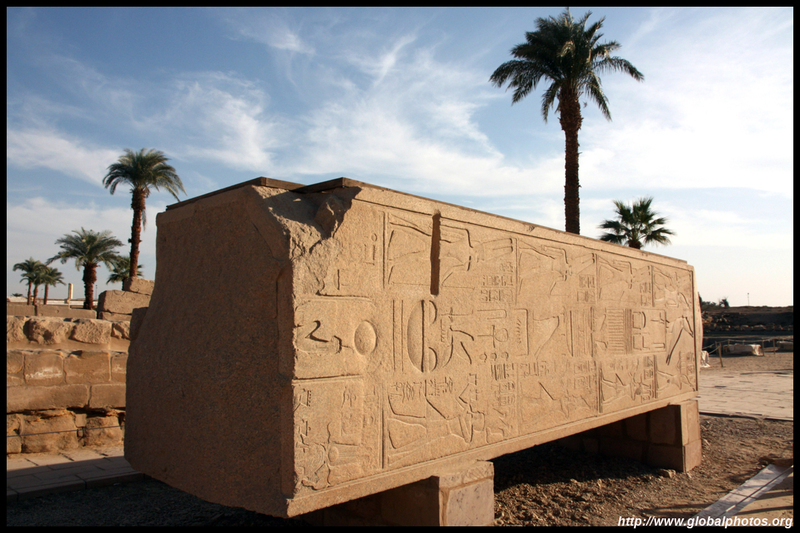 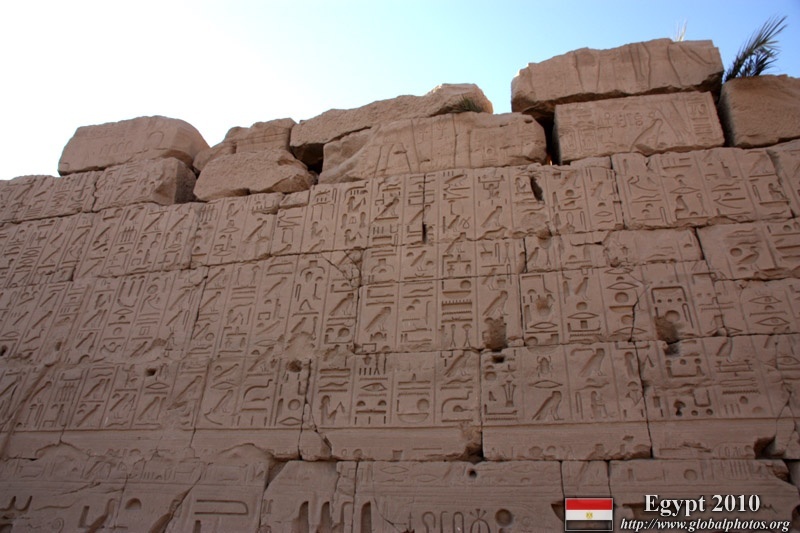 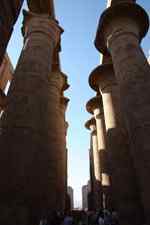 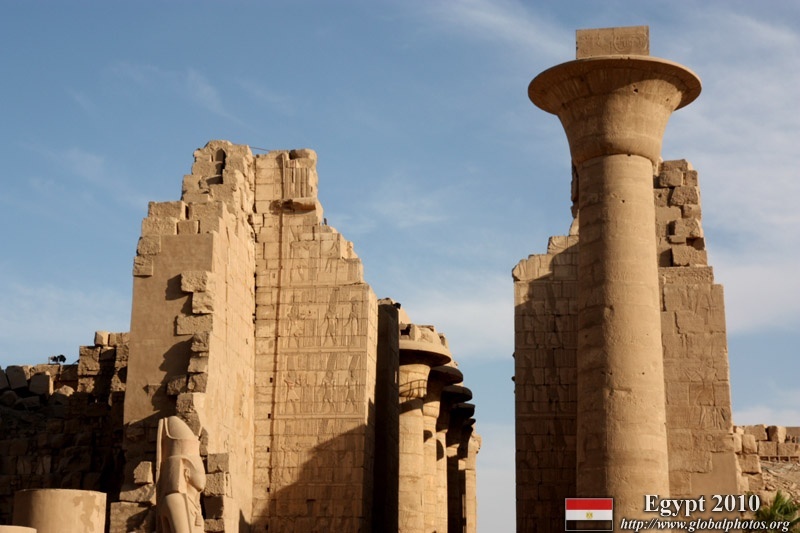 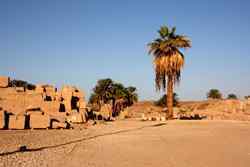 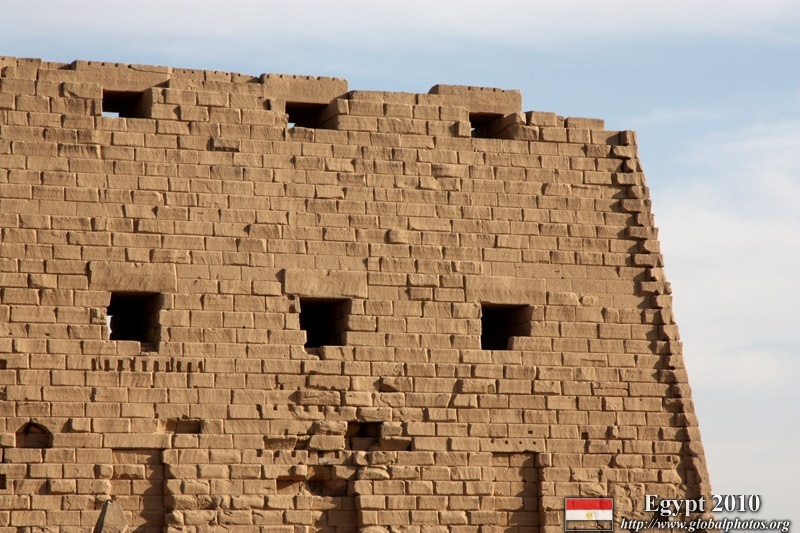 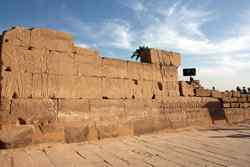 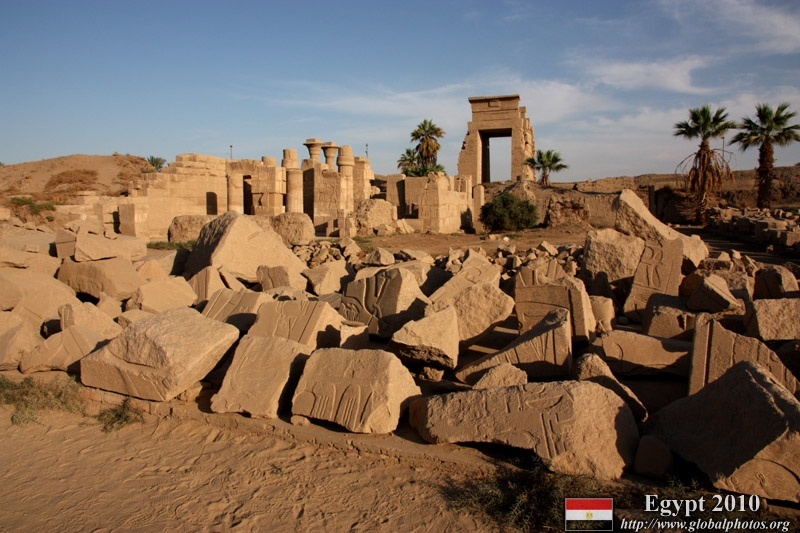 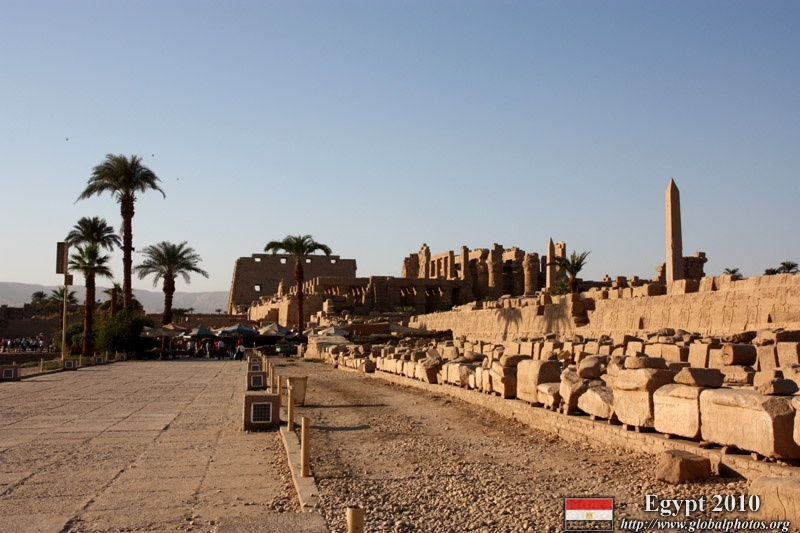 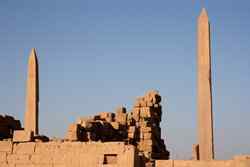 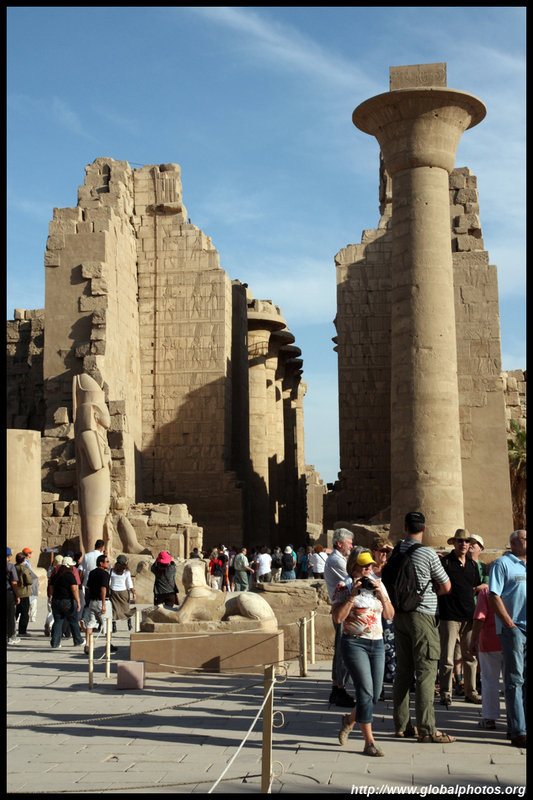 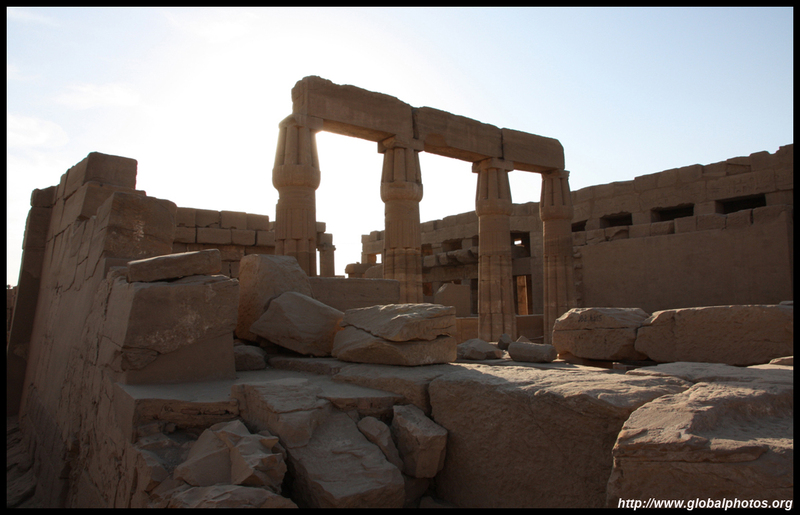 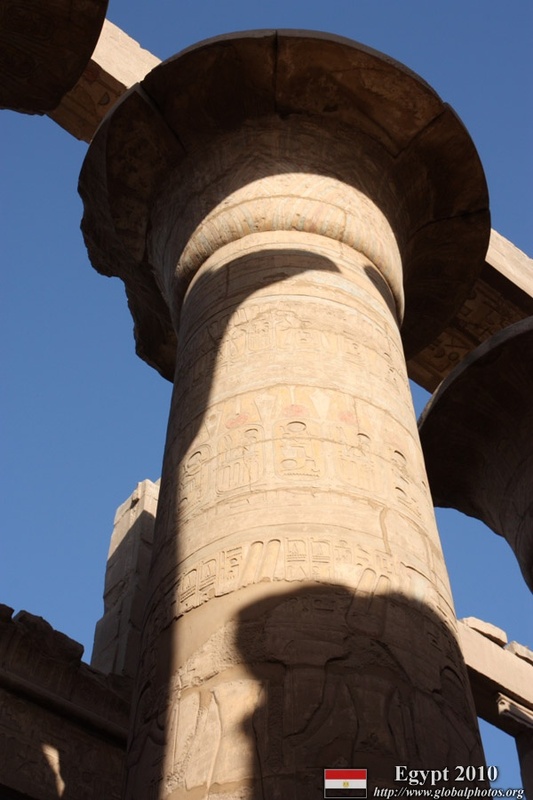 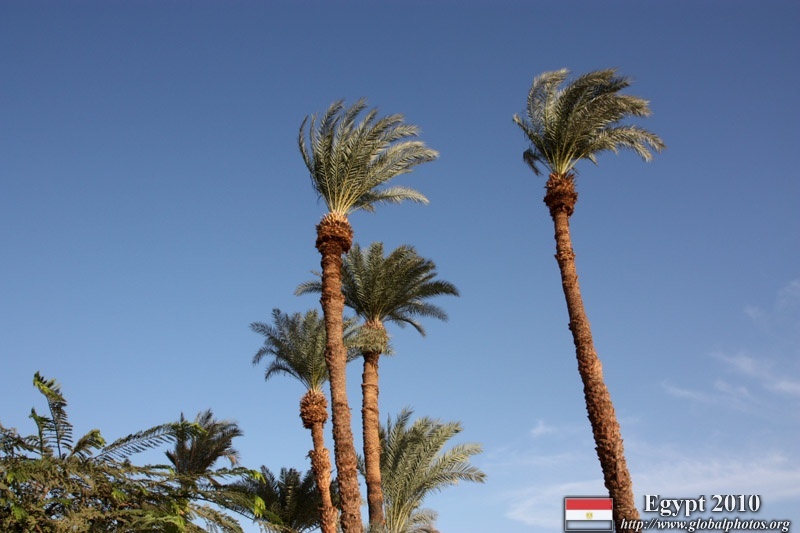 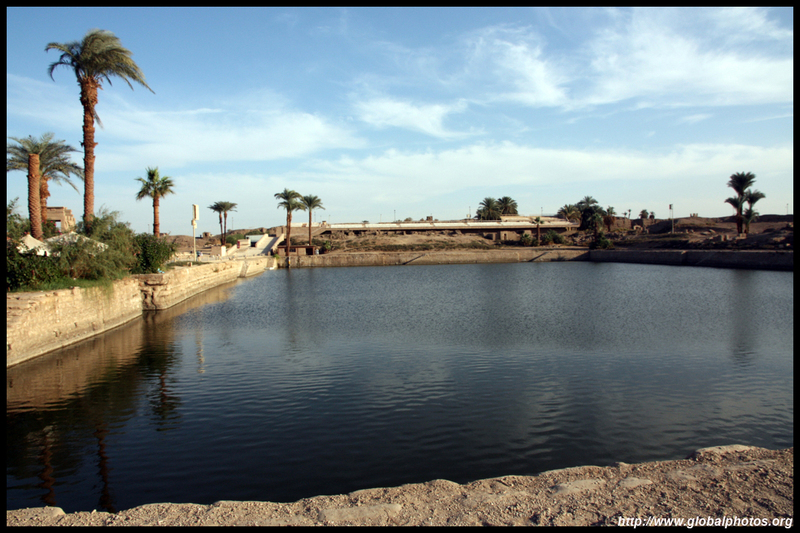 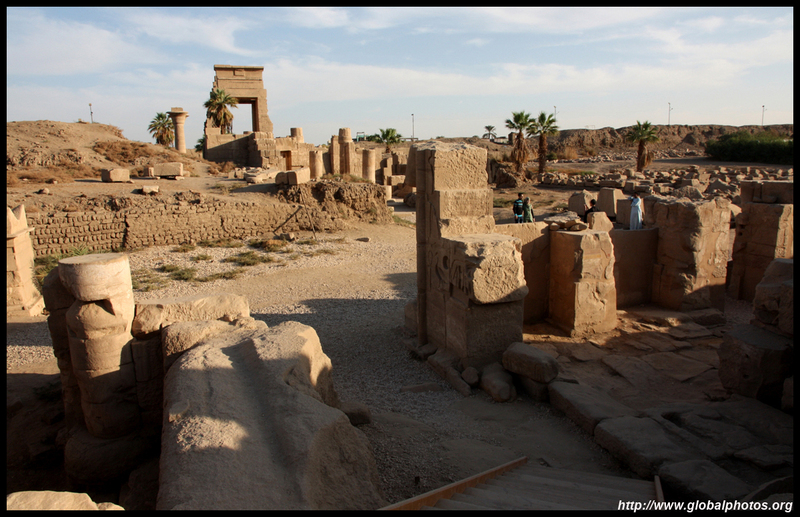 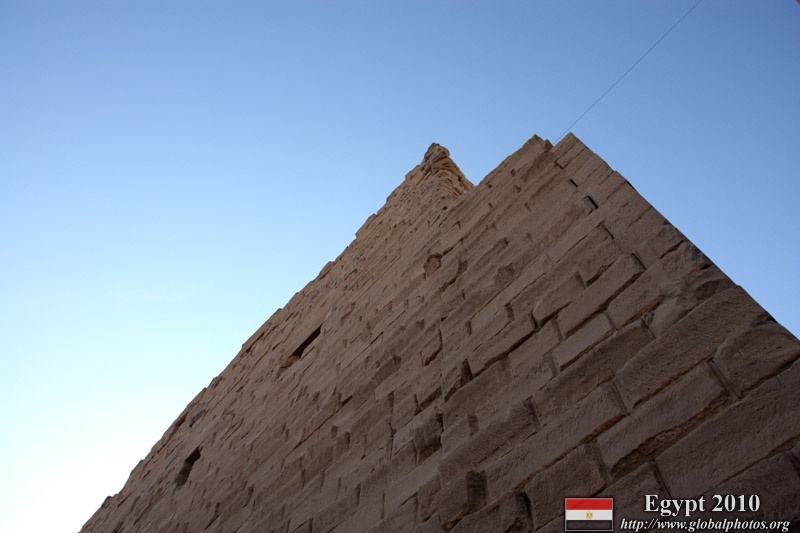 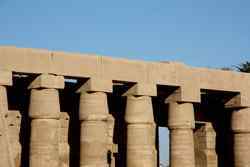 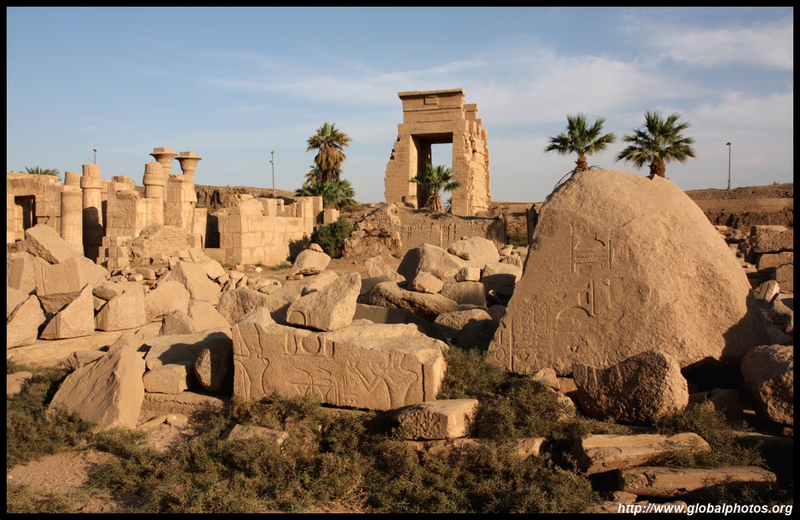 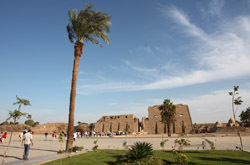 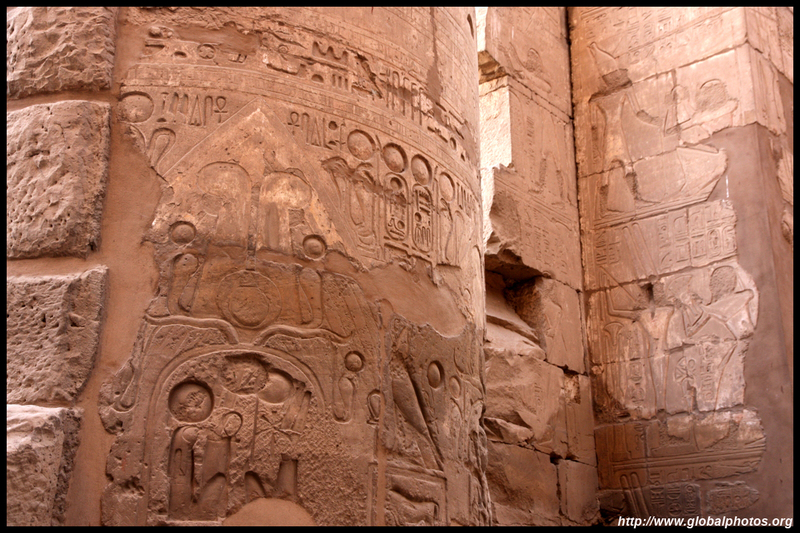 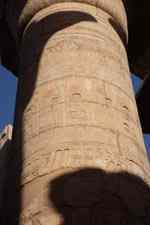 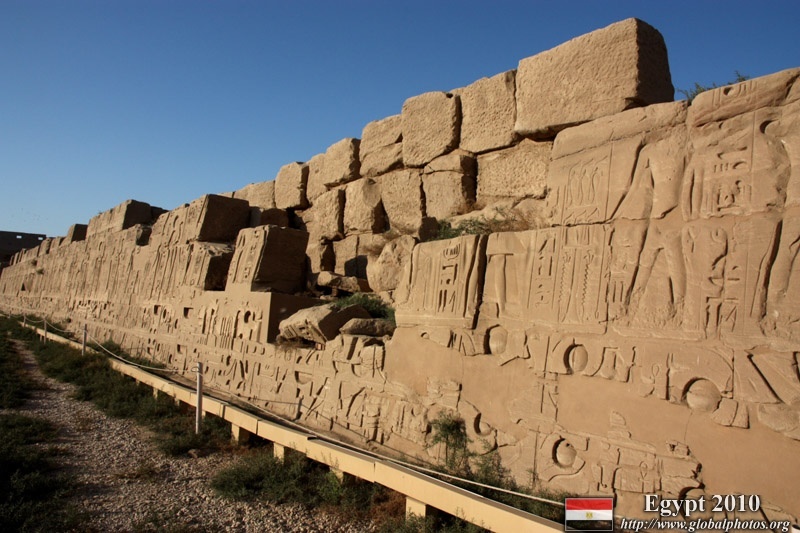 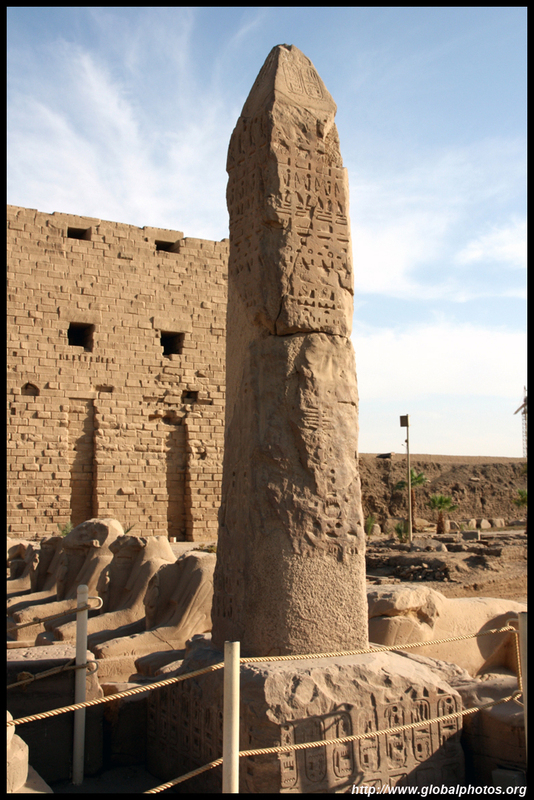 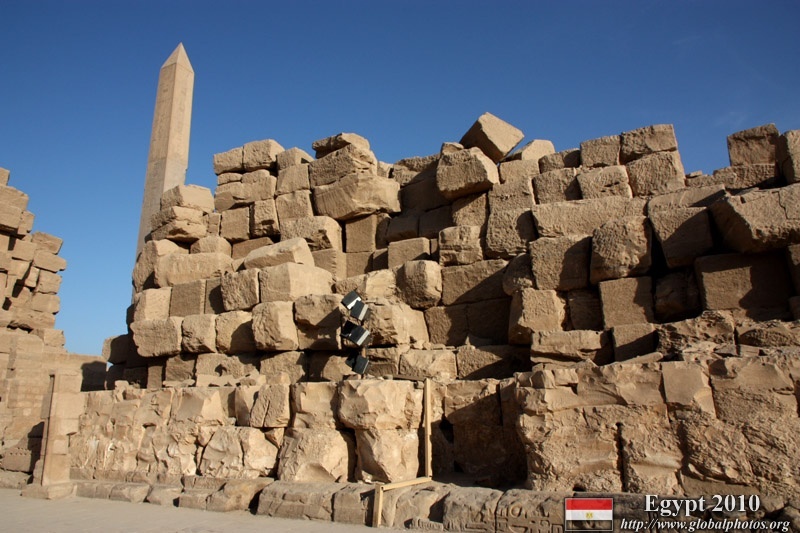 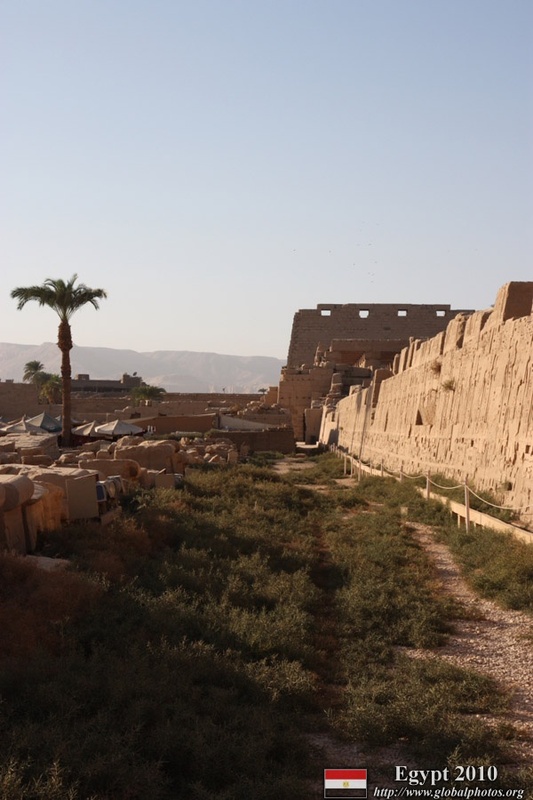 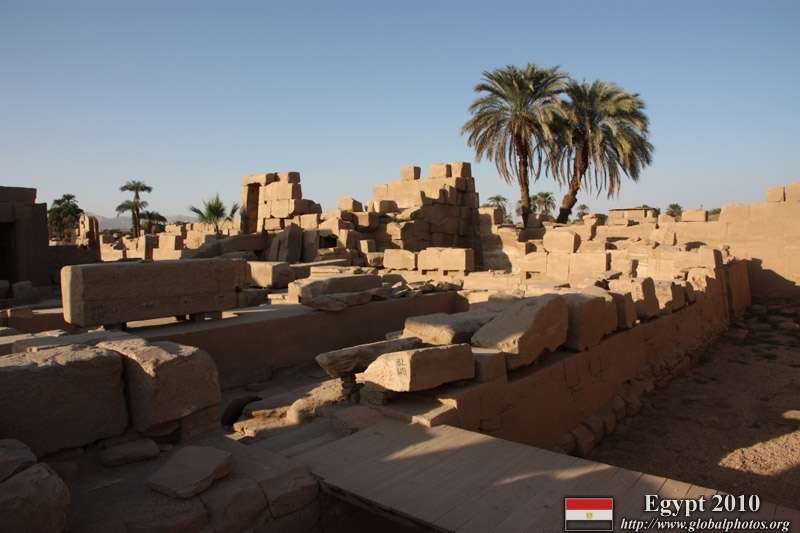 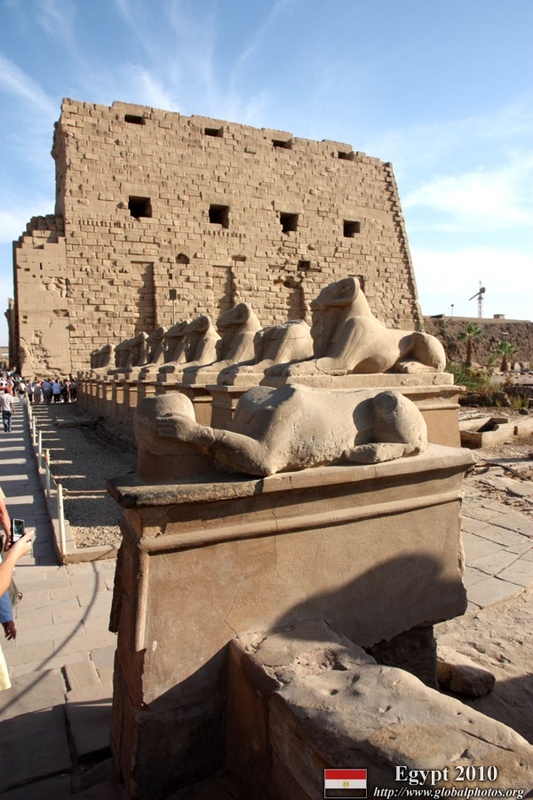 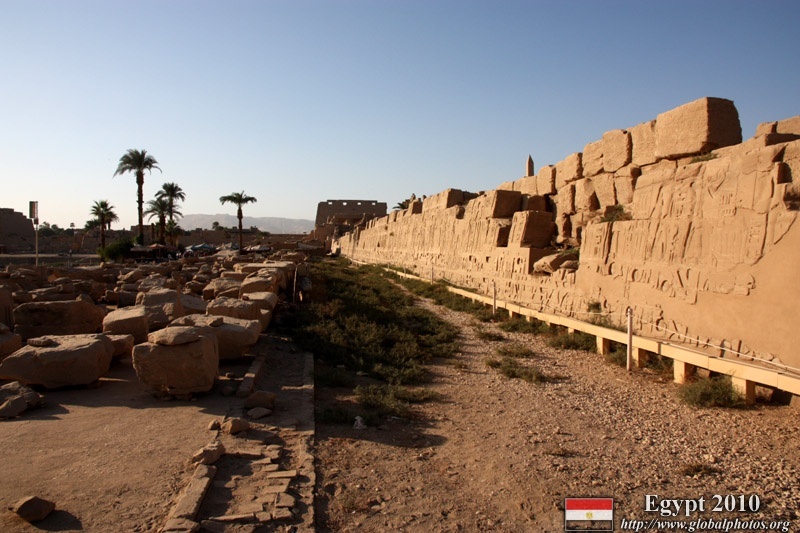 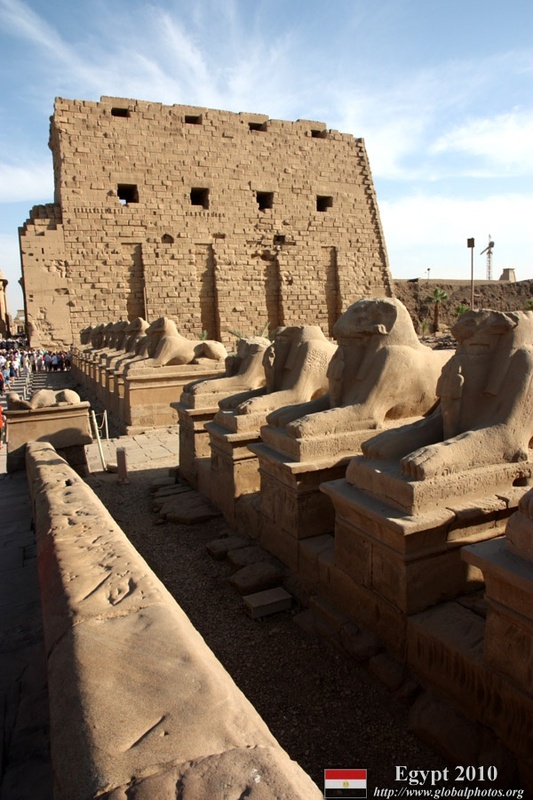 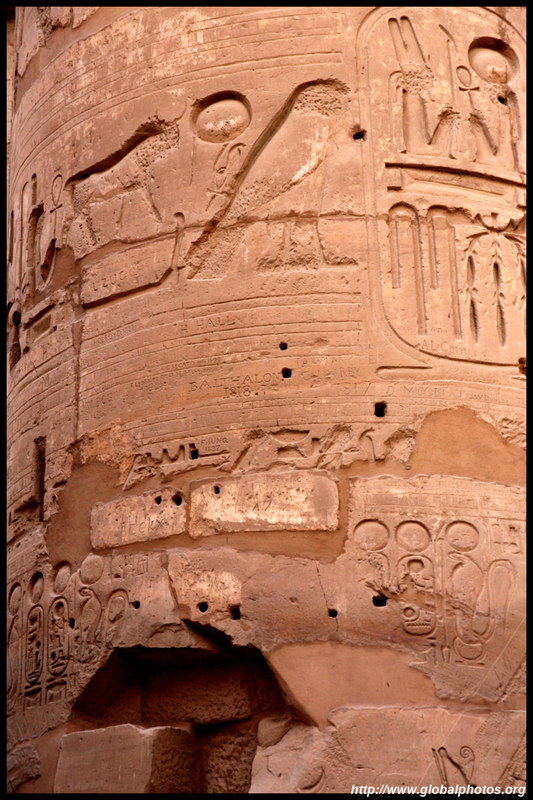 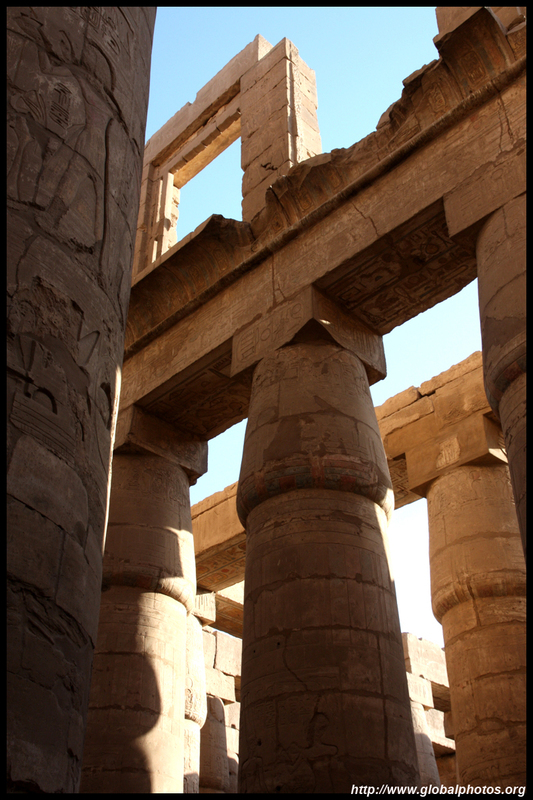 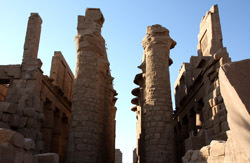 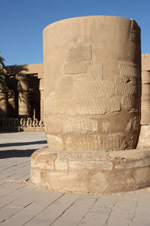 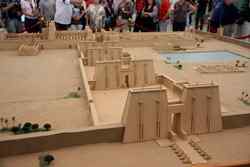 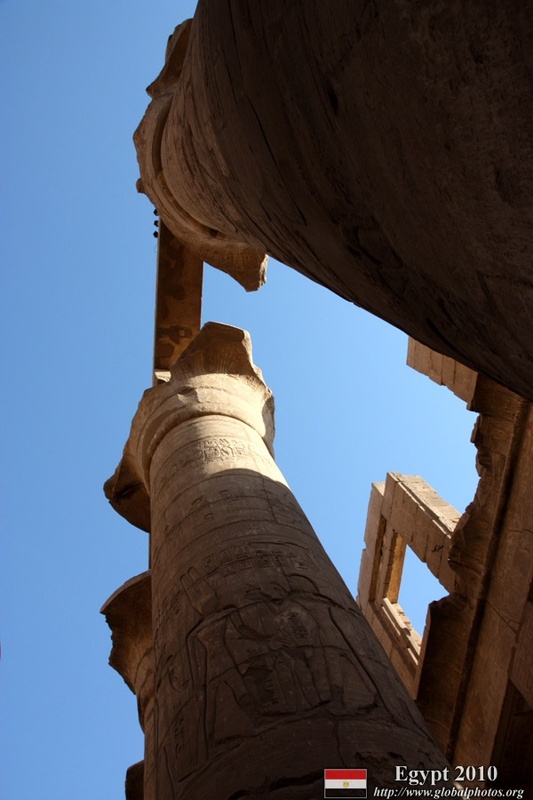 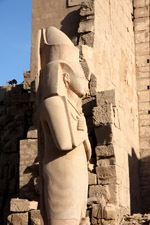 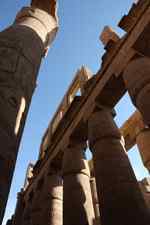 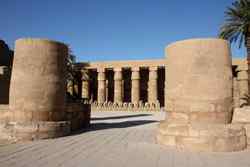 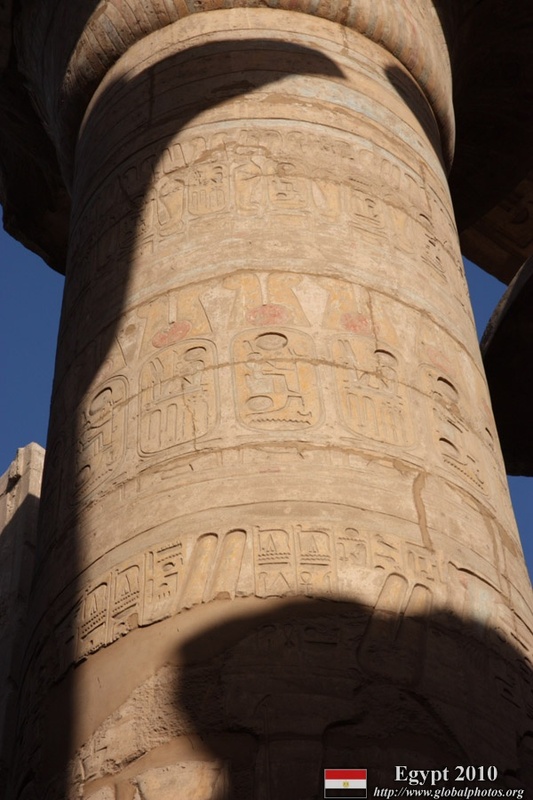 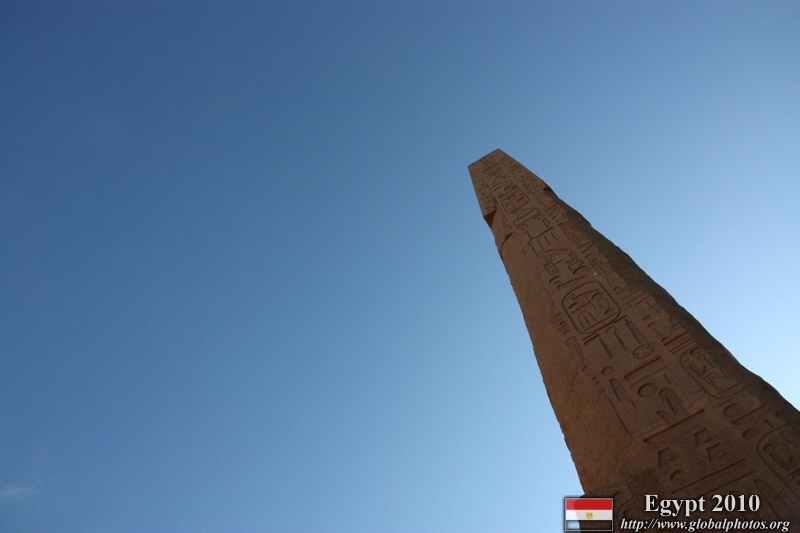 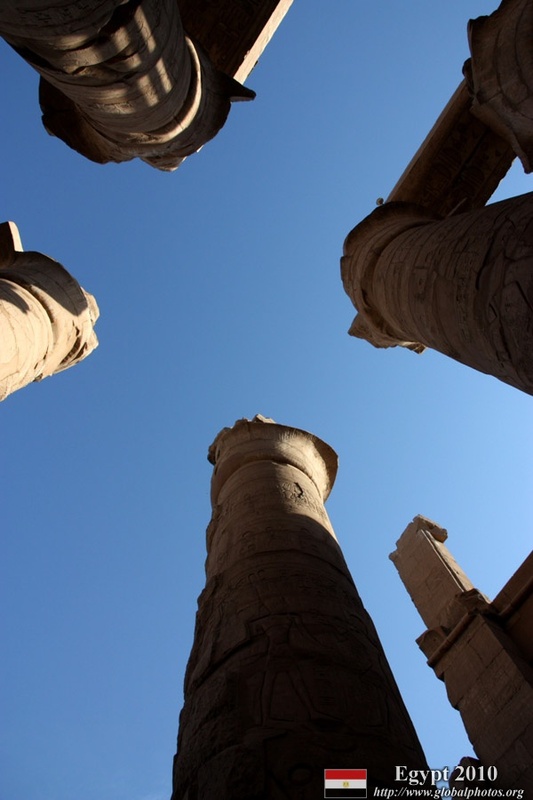 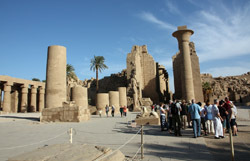 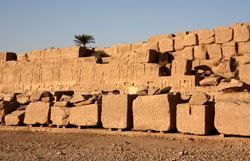 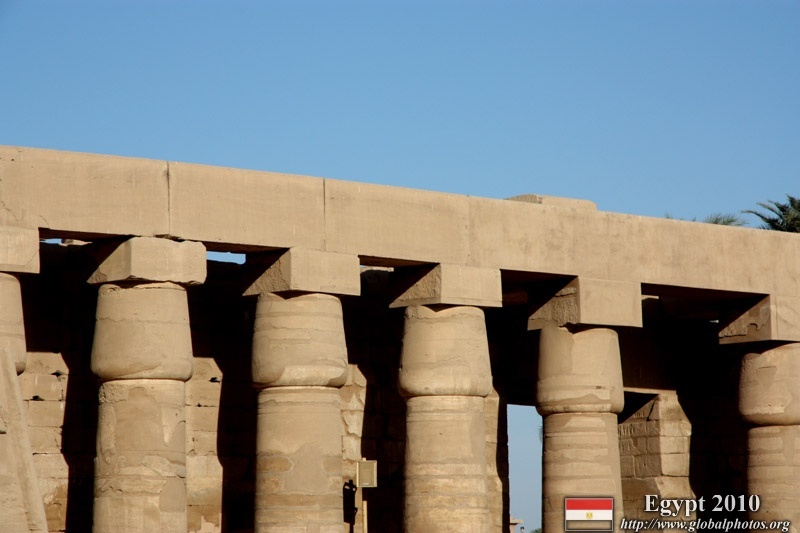 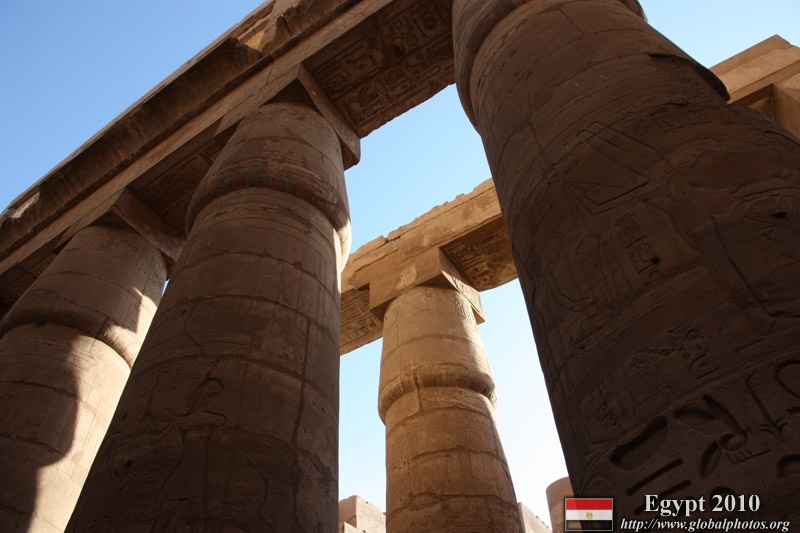 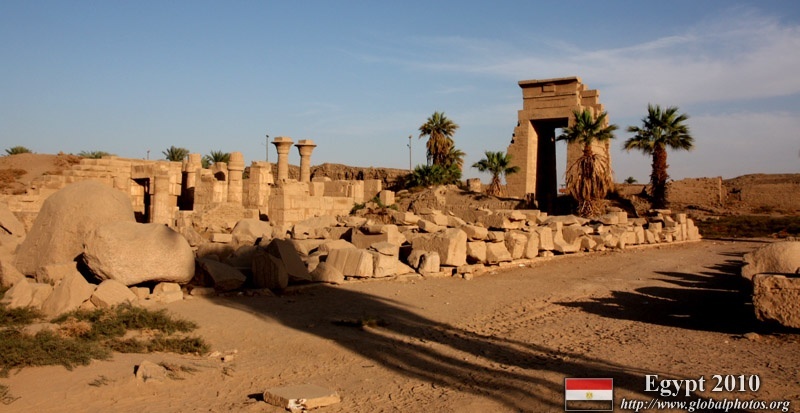 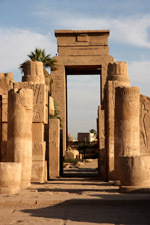 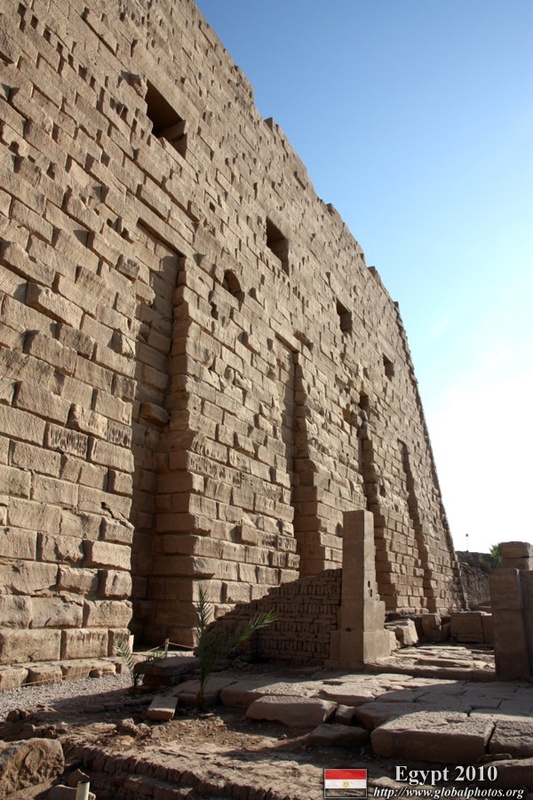 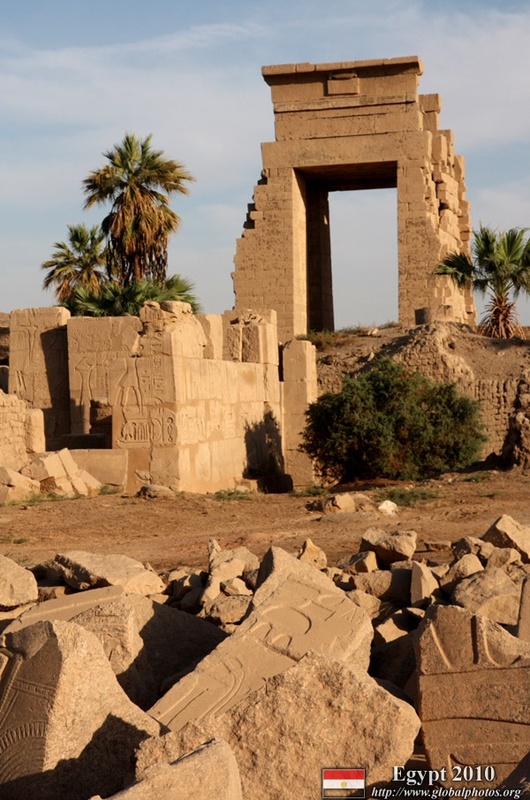 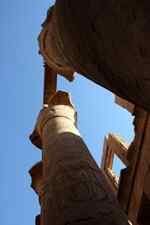 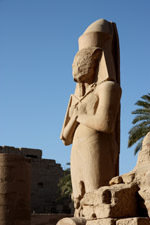 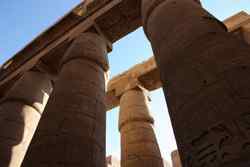 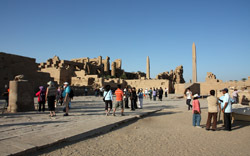 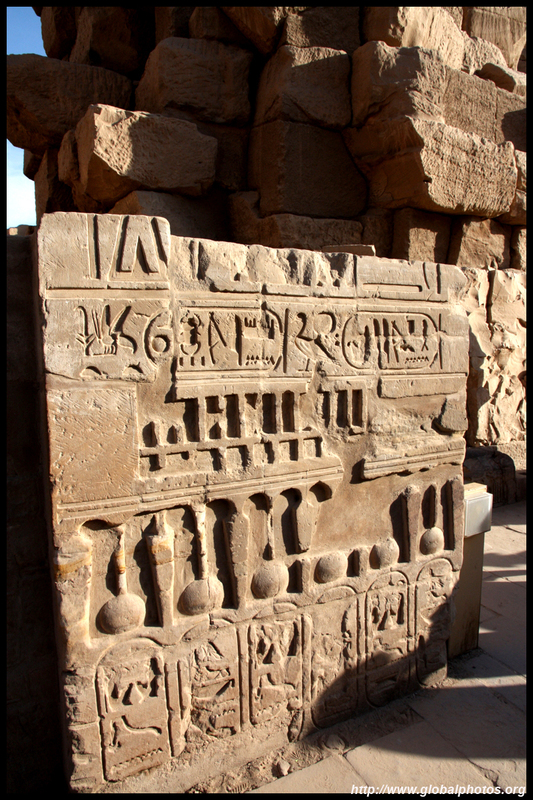 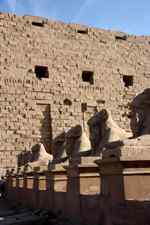 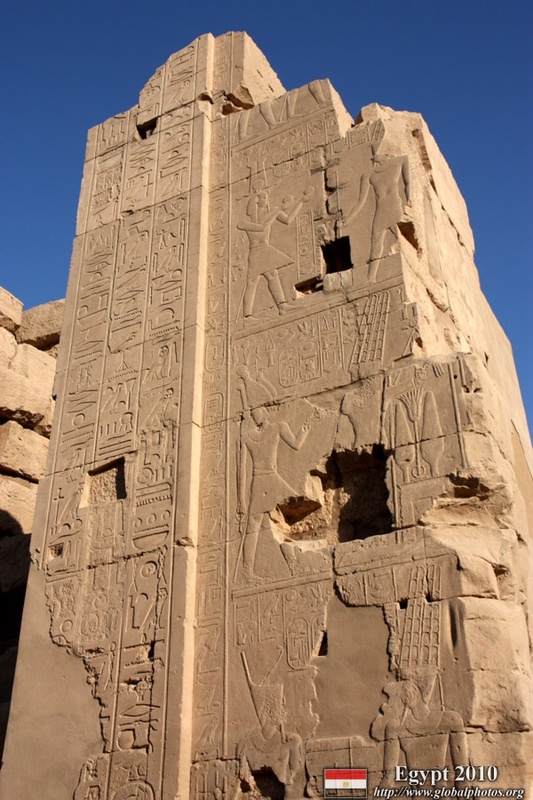 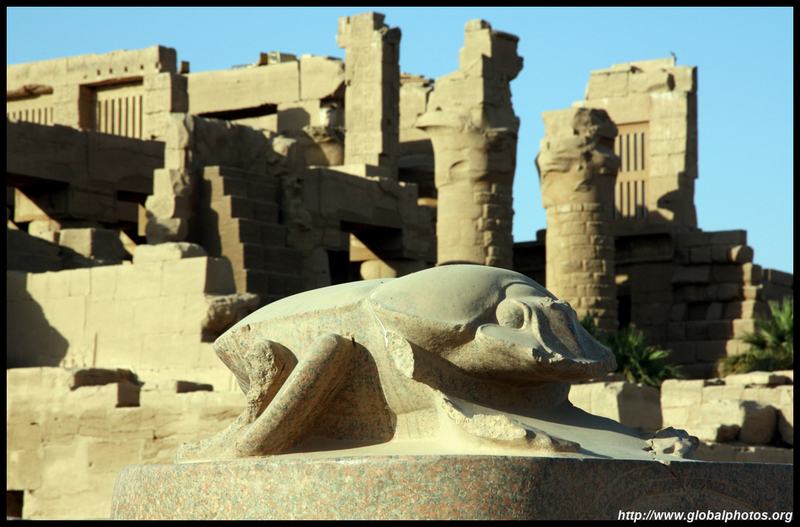 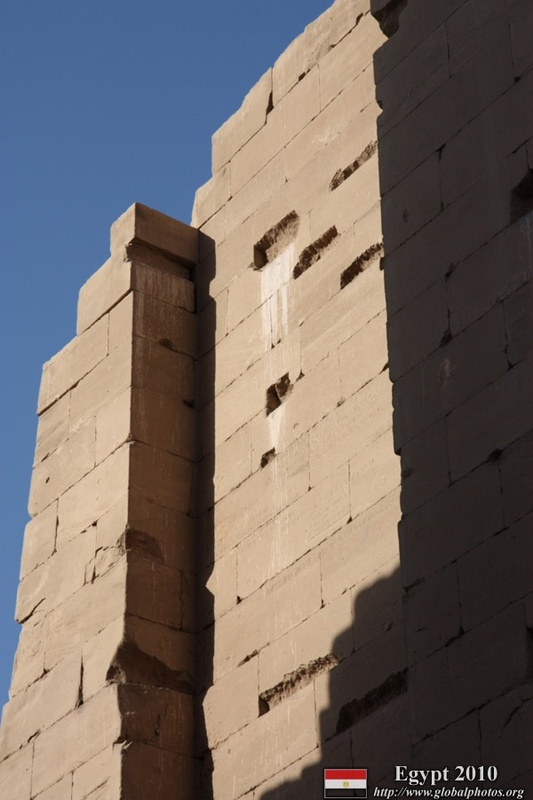 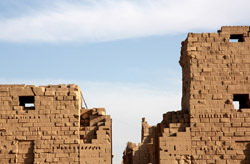 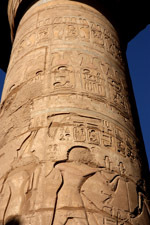 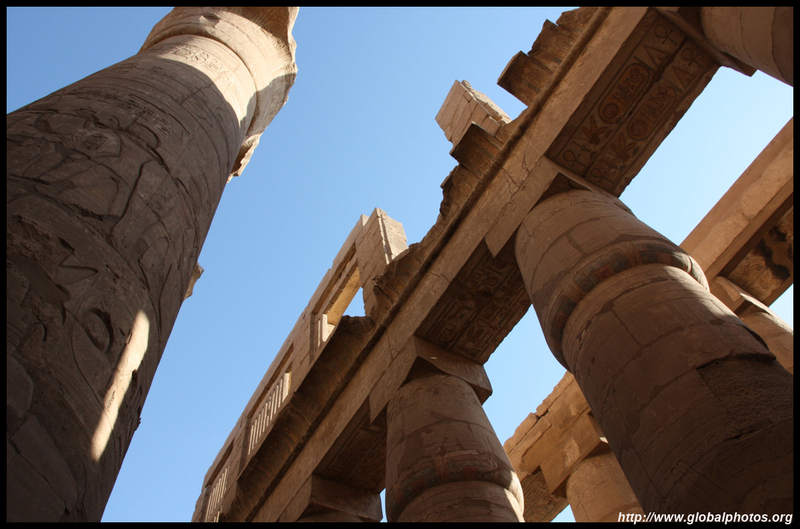 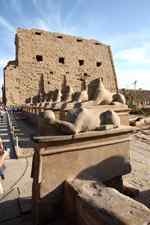 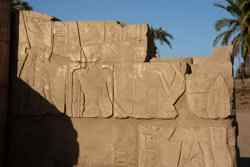 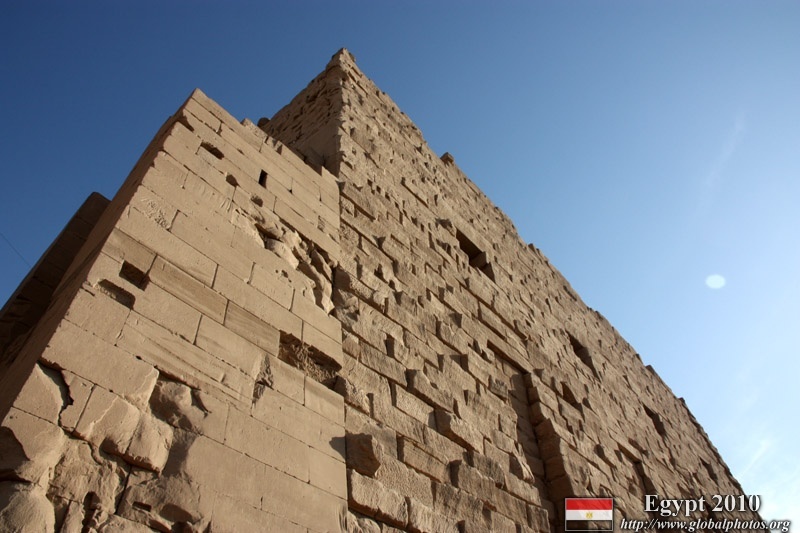 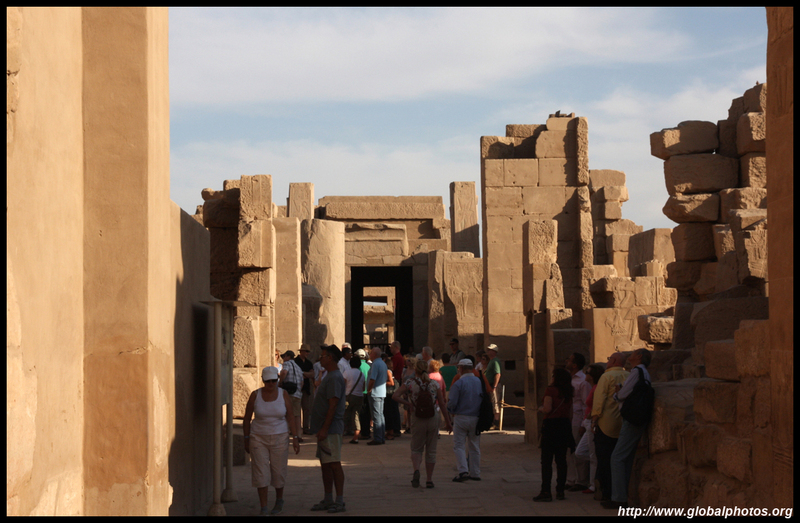 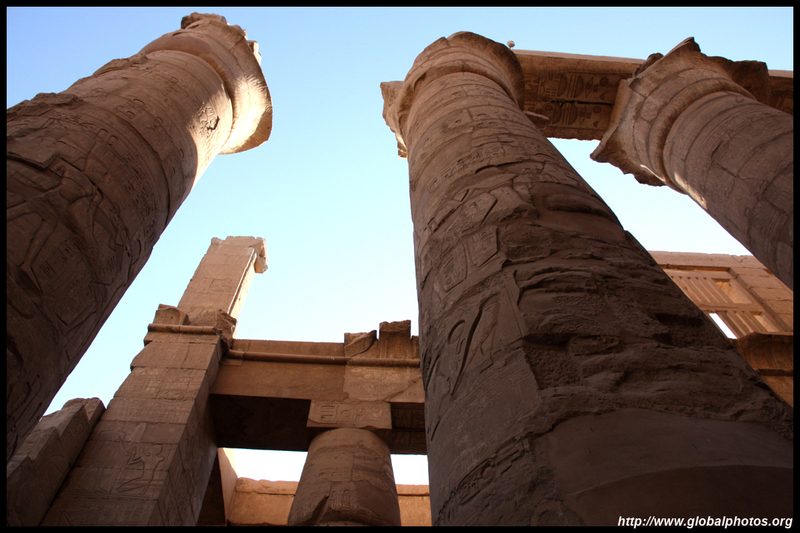 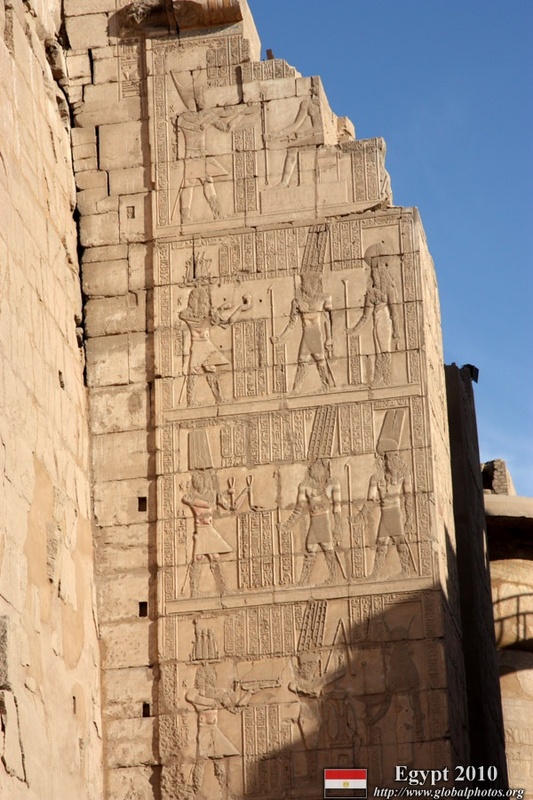 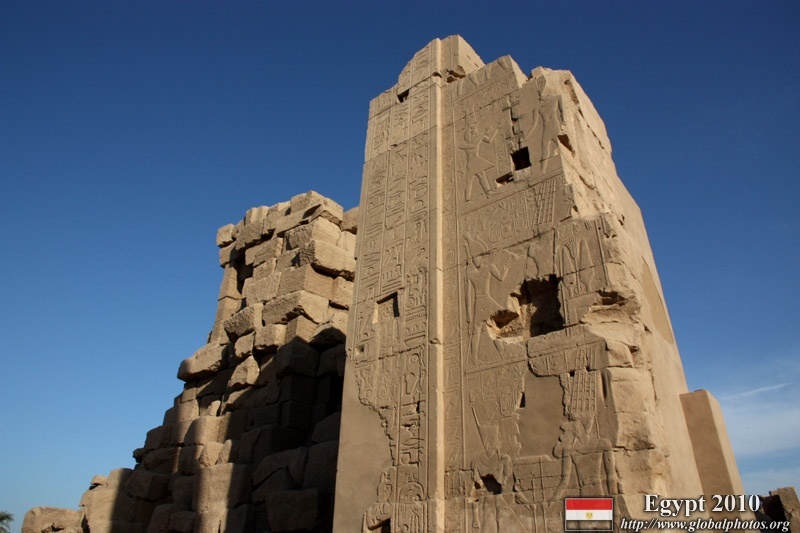 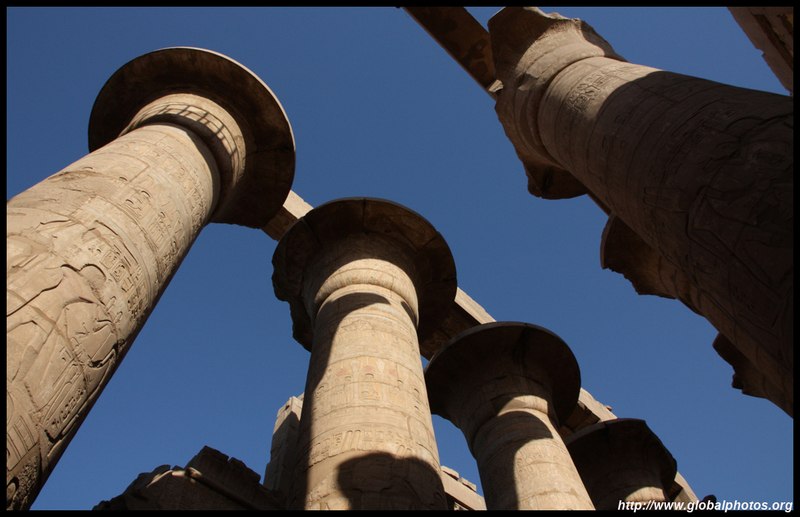 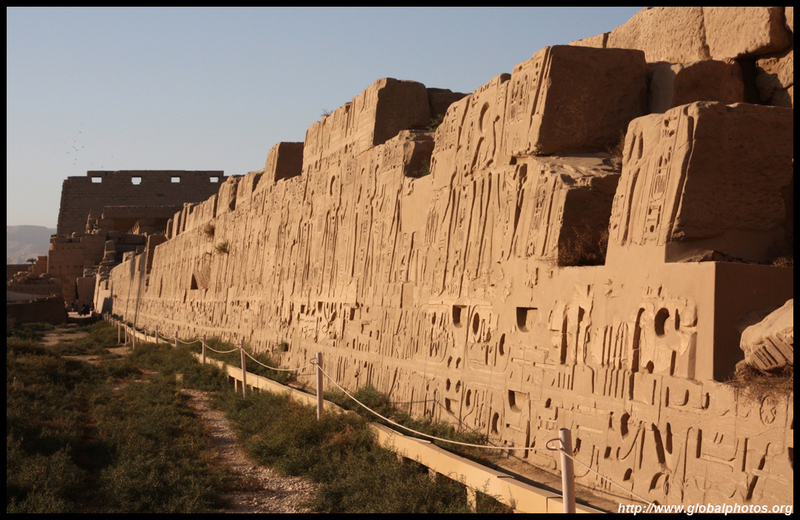 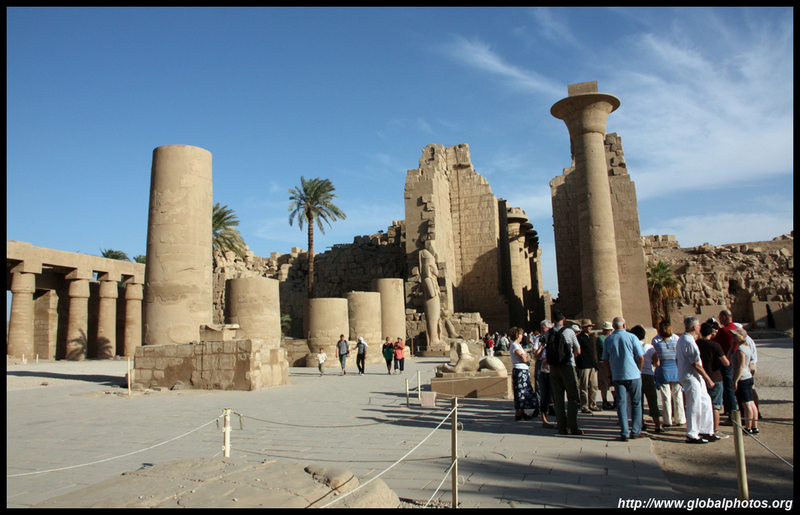 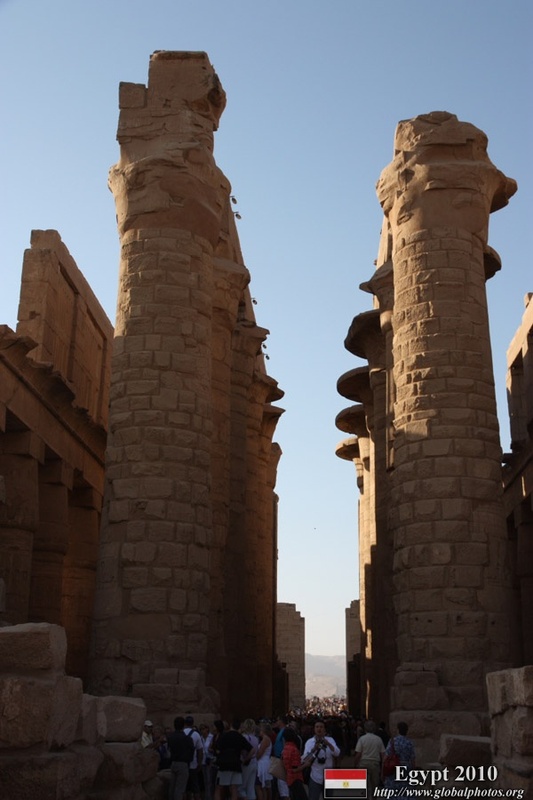 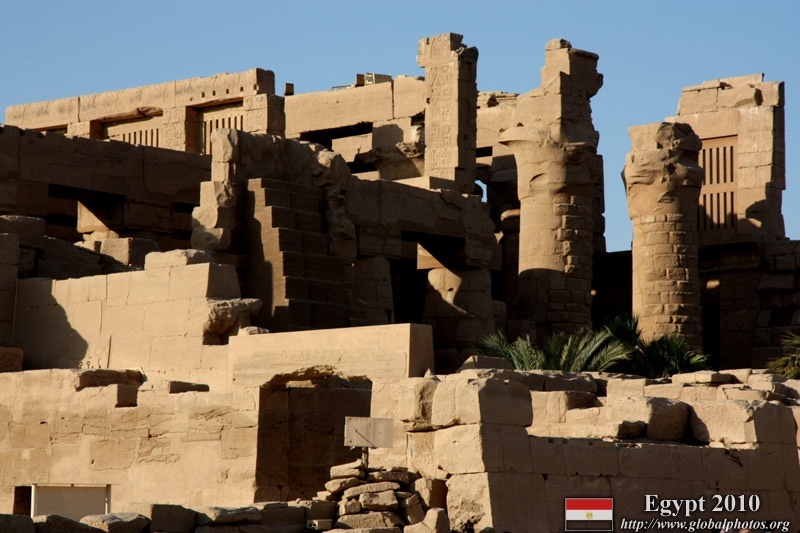 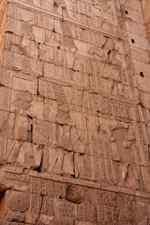 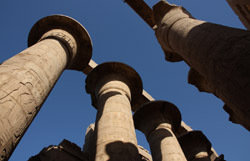 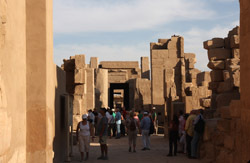 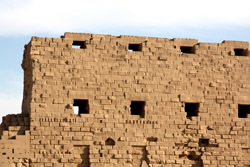 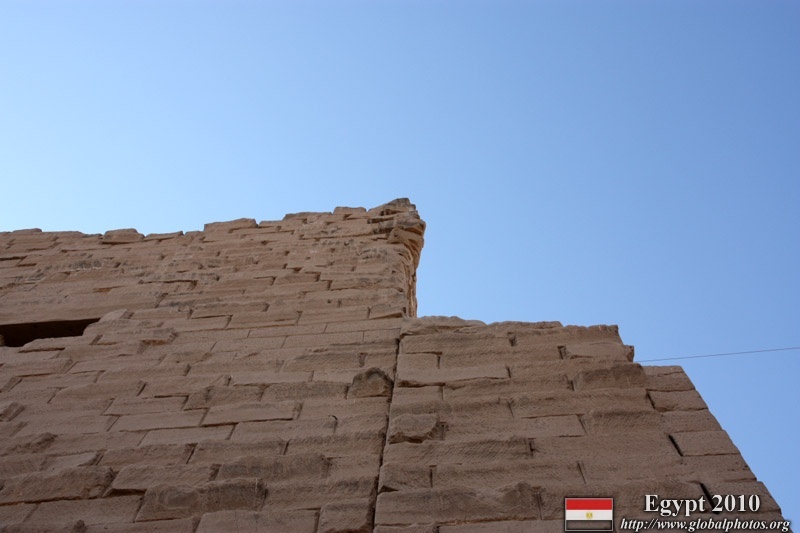 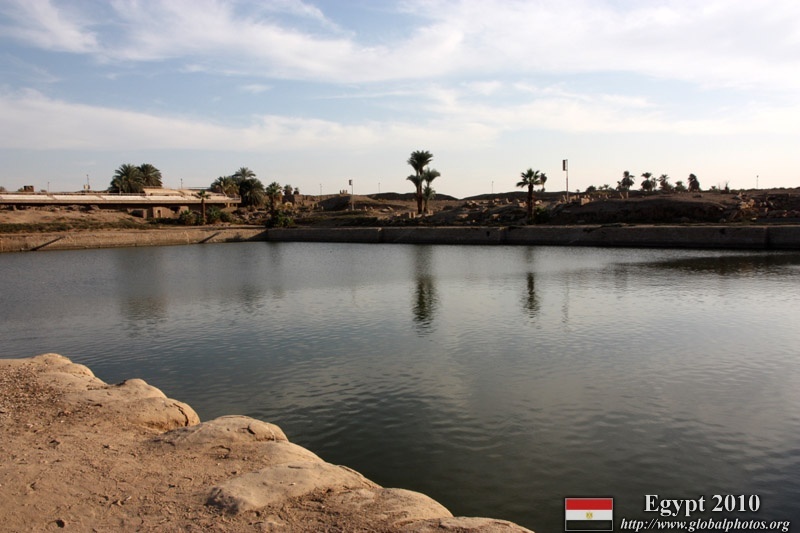 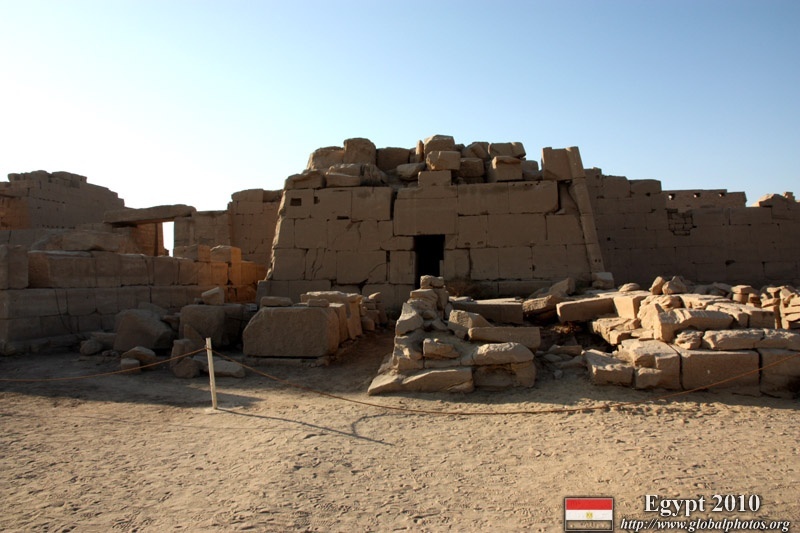 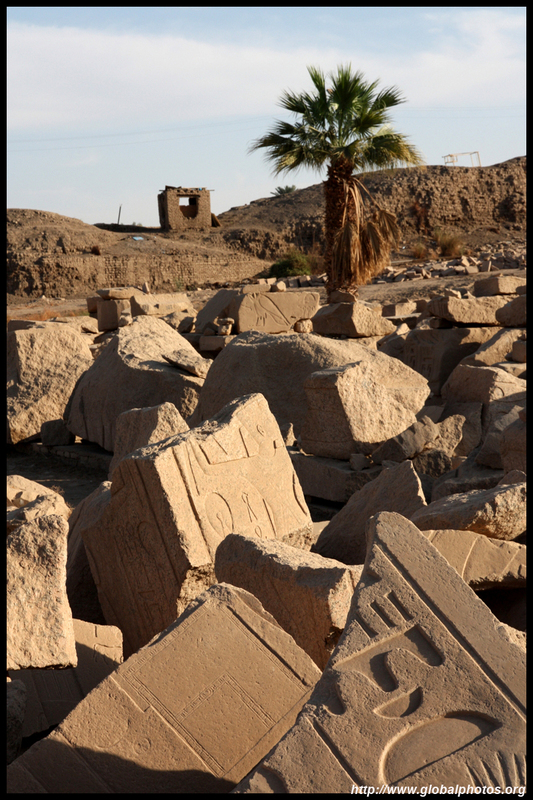 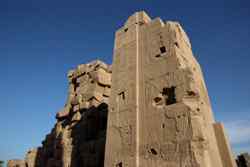 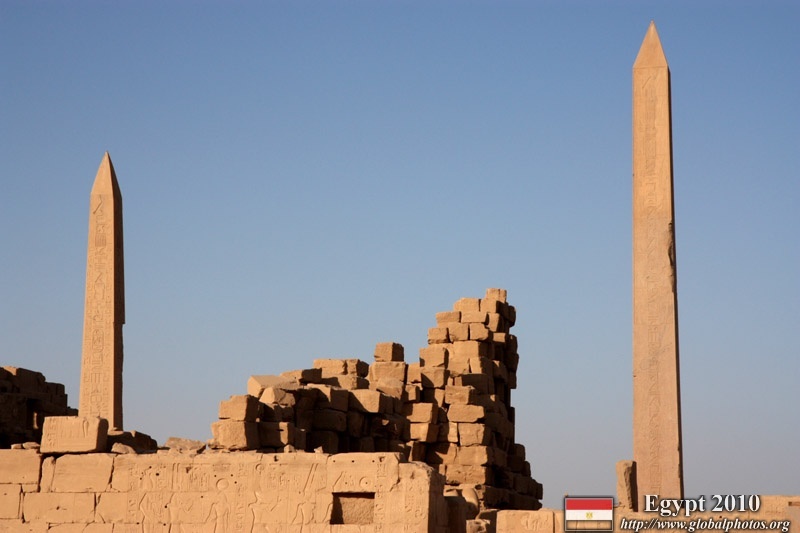 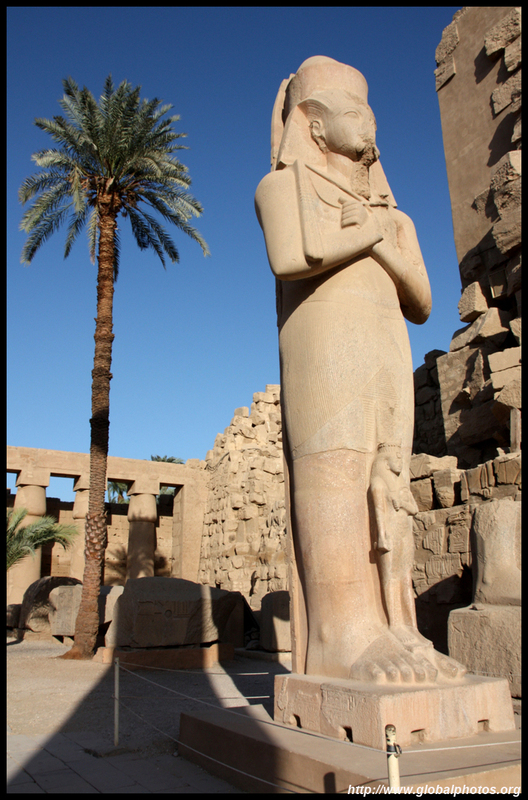 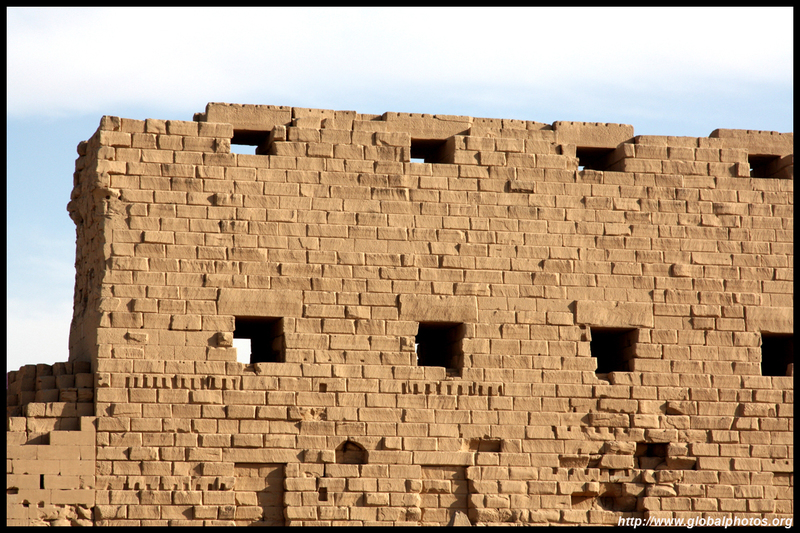 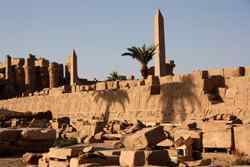 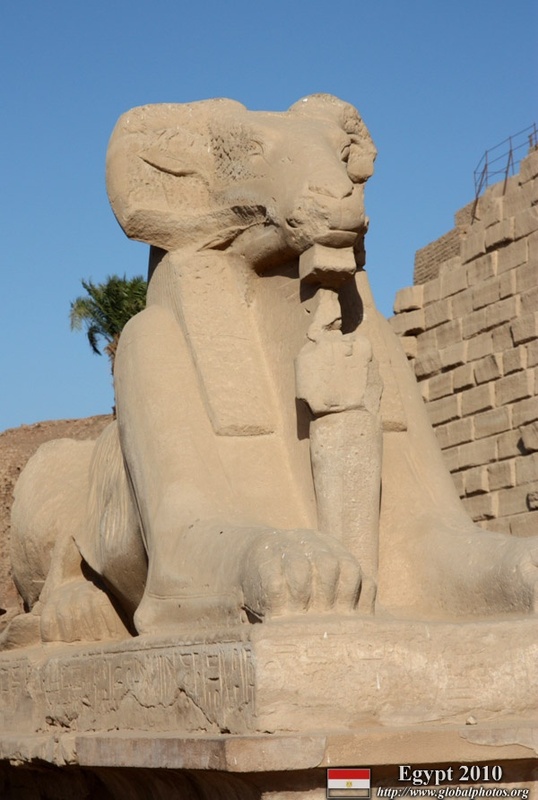 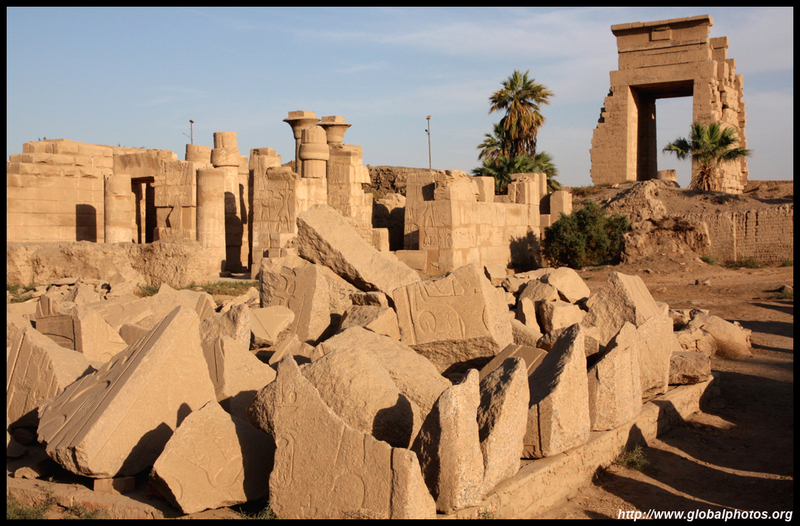 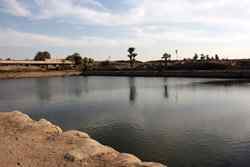 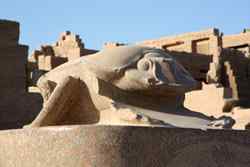 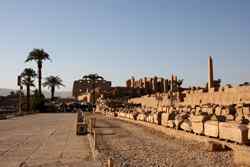 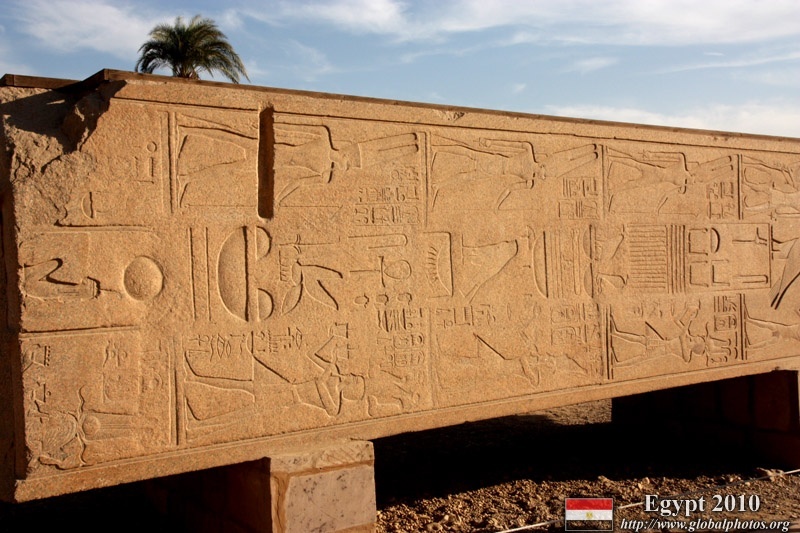 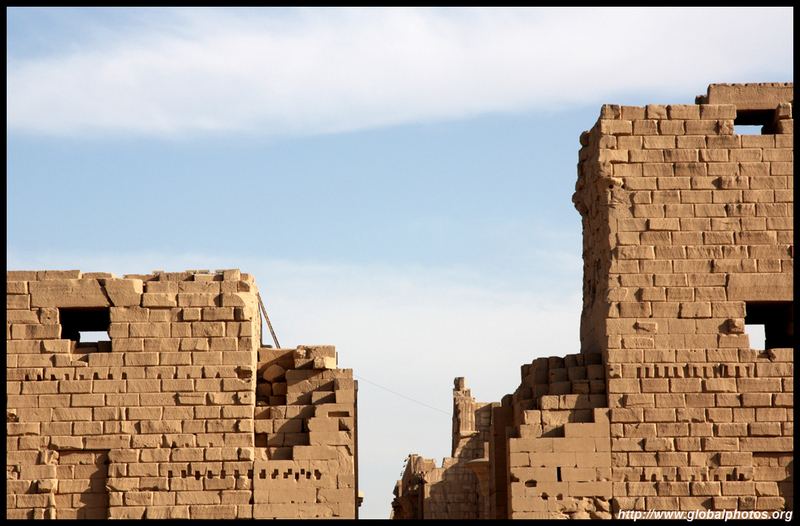 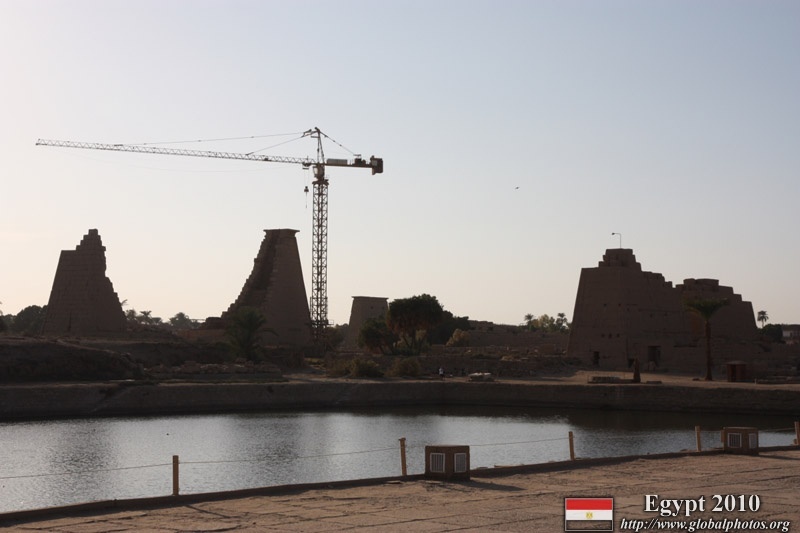 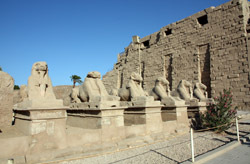 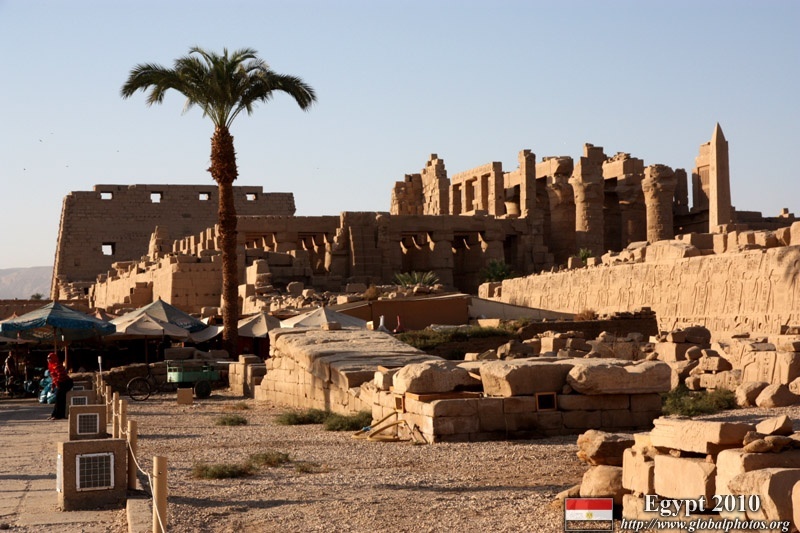 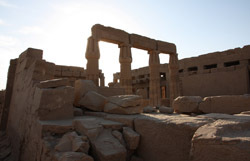 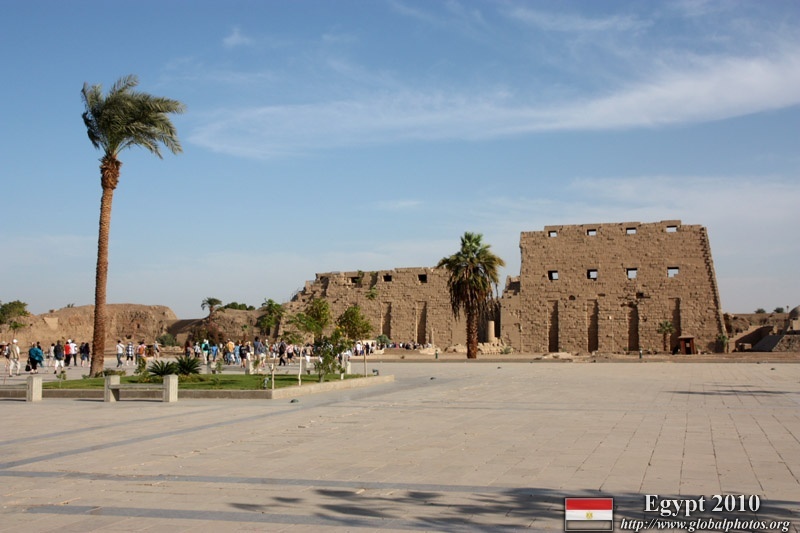 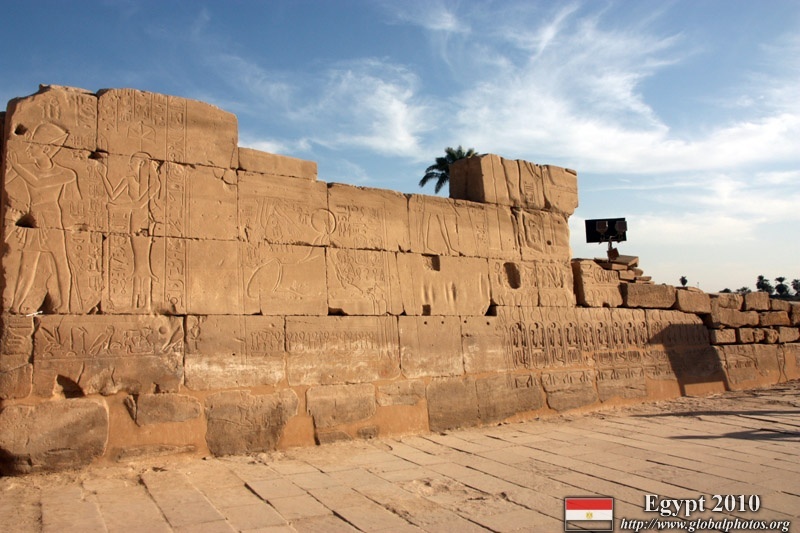 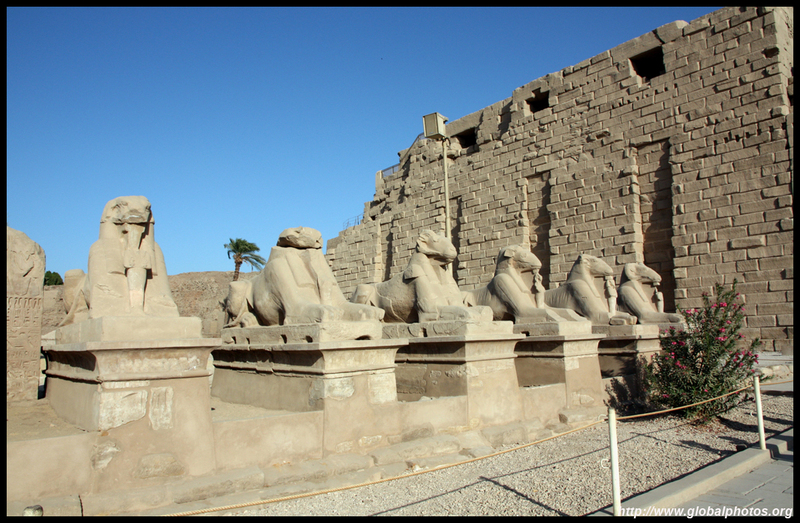 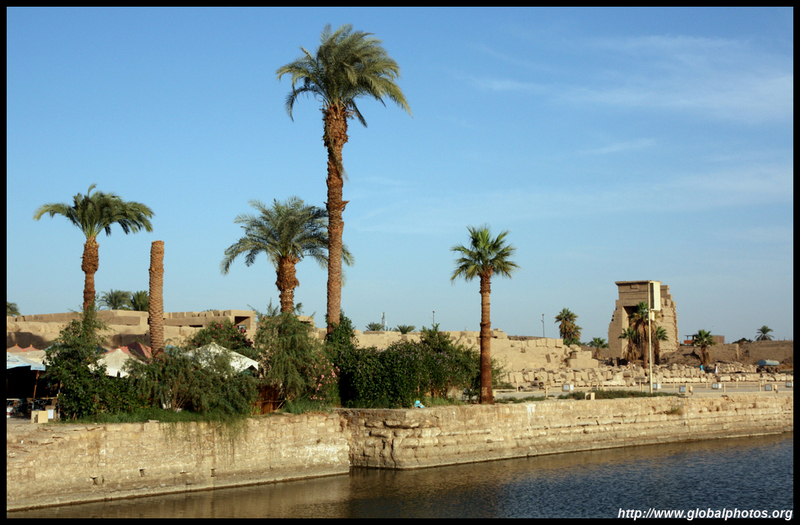 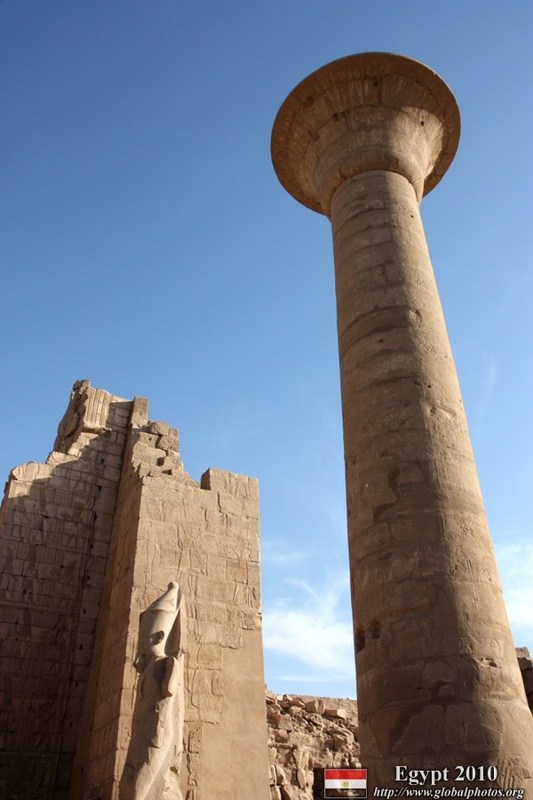 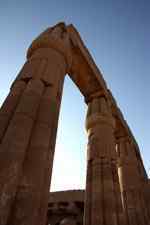 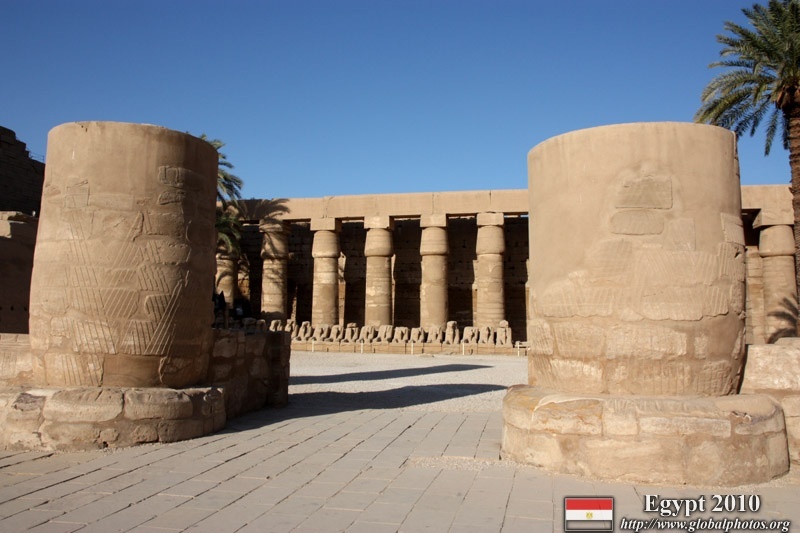 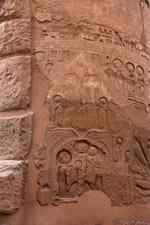 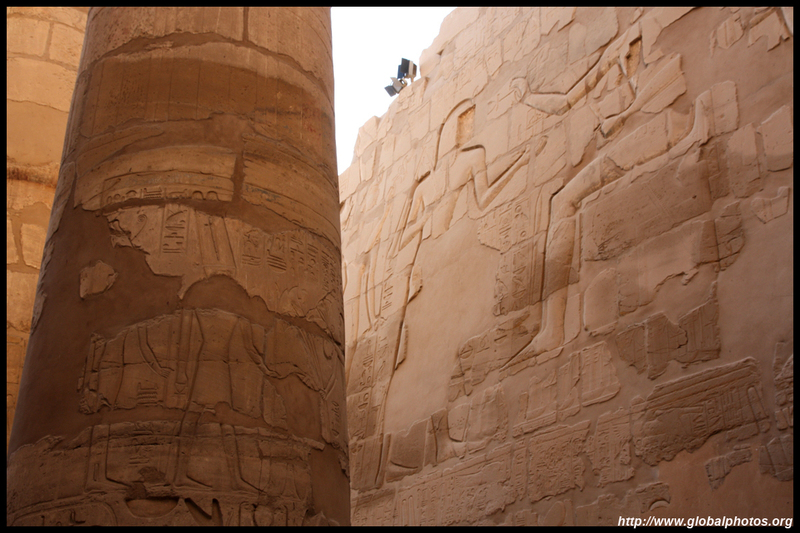 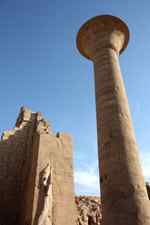 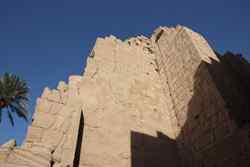 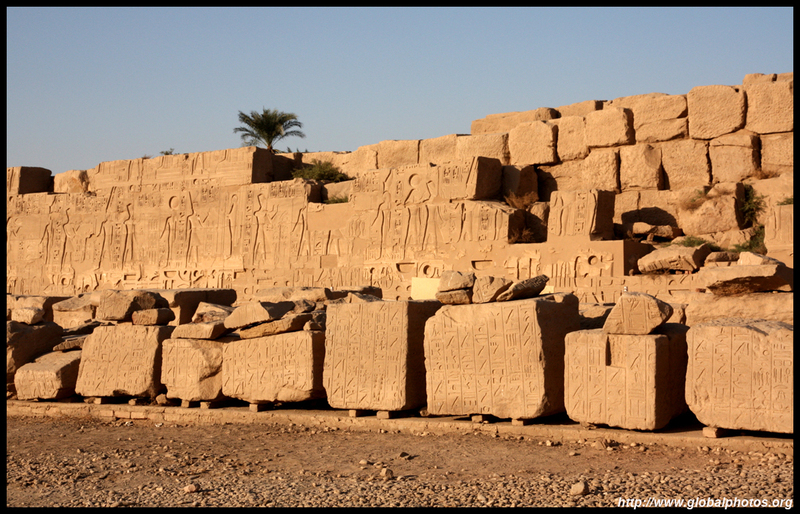 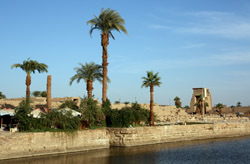 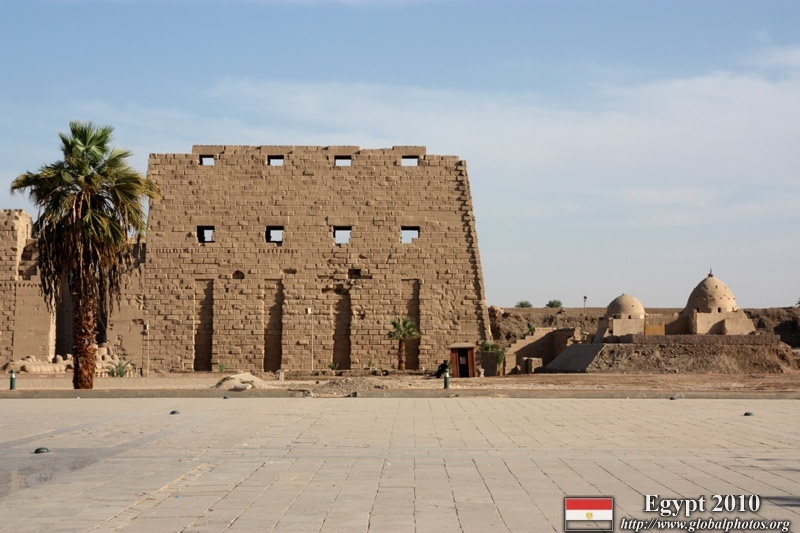 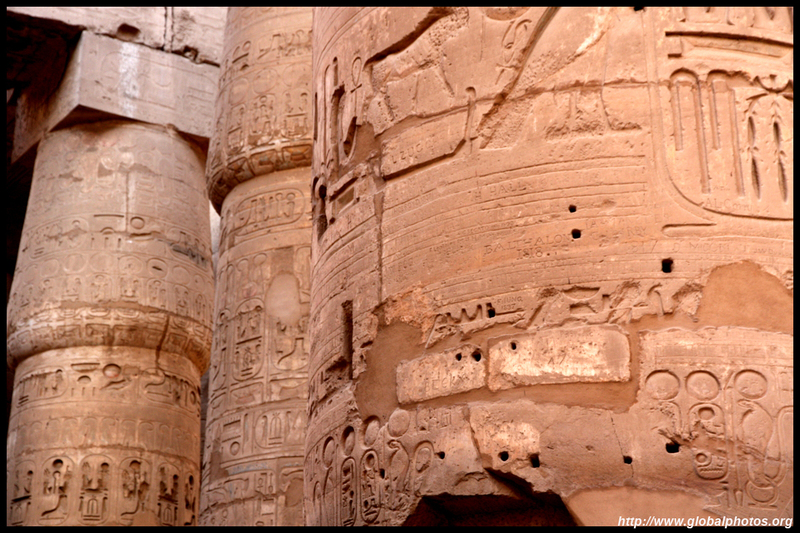 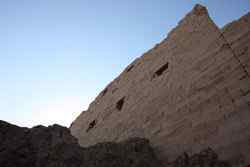 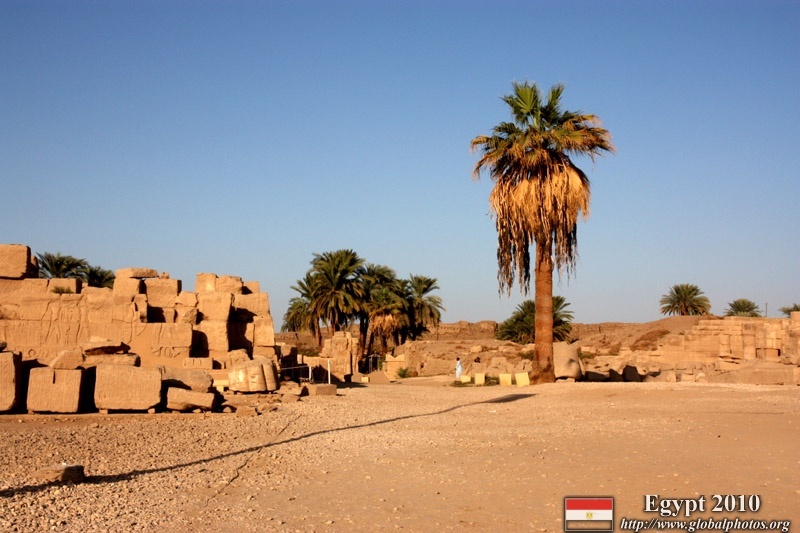 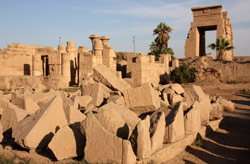 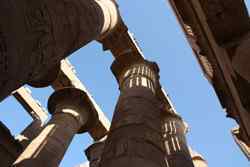 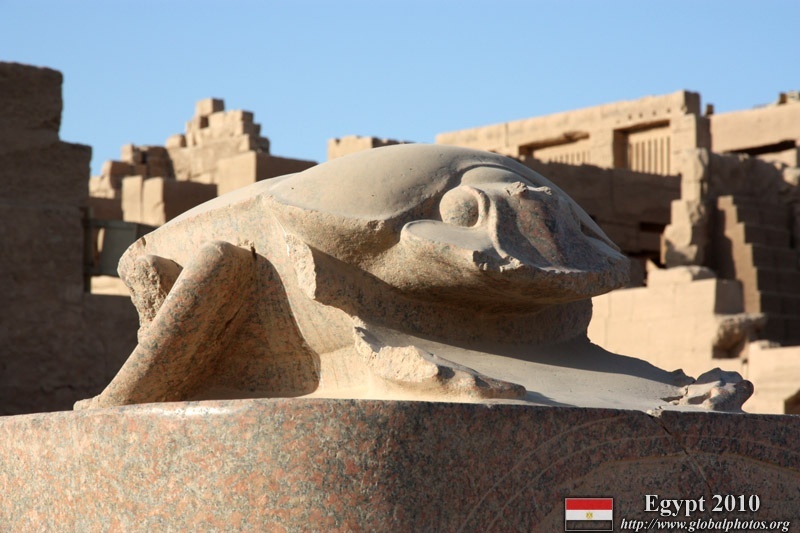 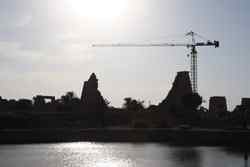 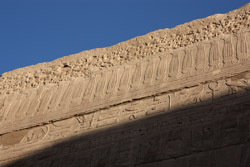 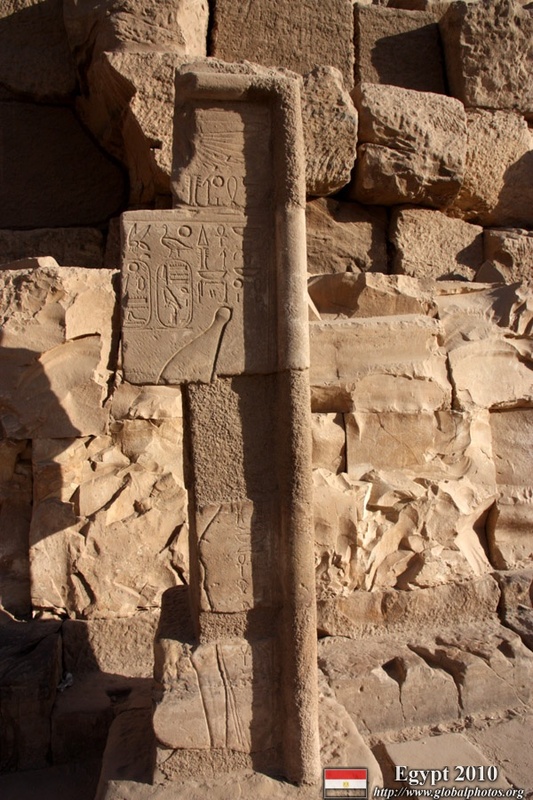 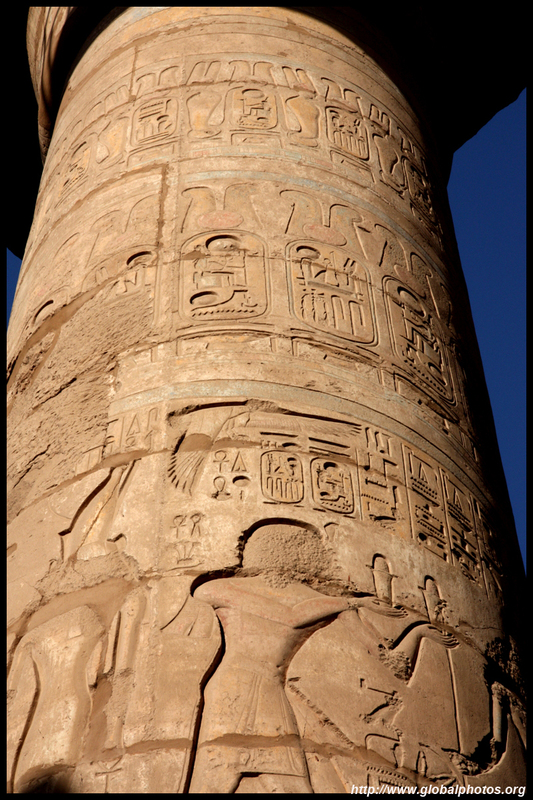 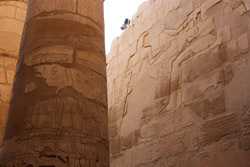 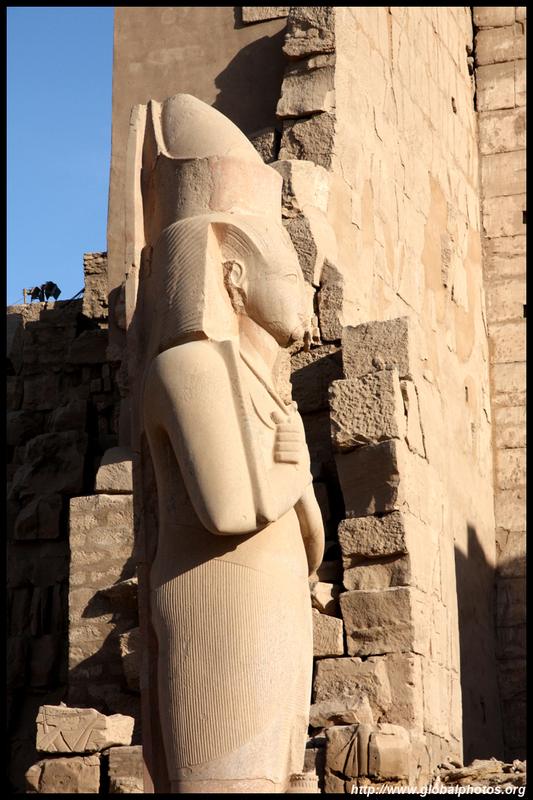 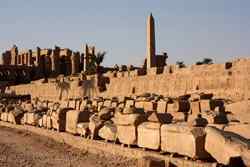 Karnak Temple is already a jaw-dropping sight despite being mostly in ruins. 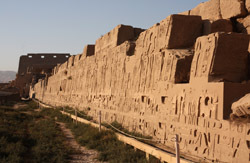 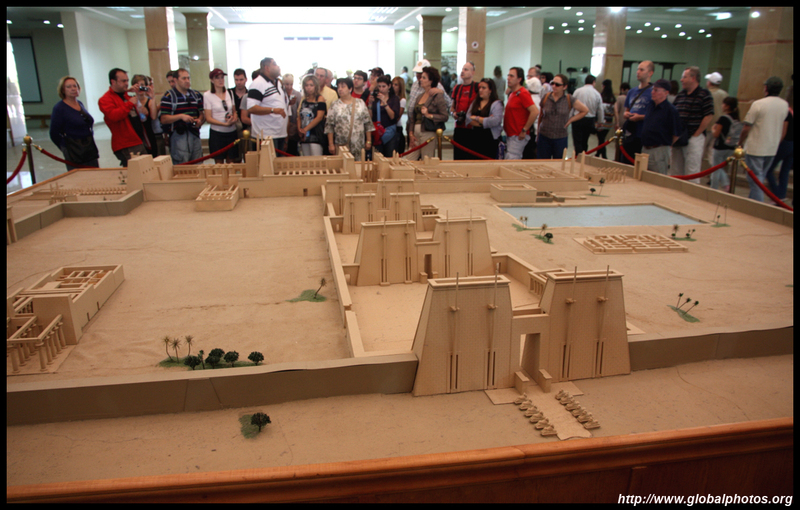 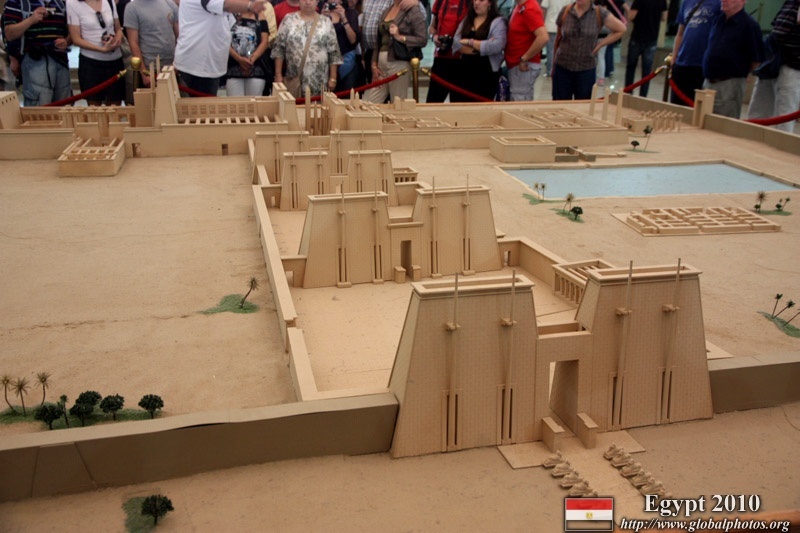 It's actually a collection of temples, halls, and statues dating back 4000 years. 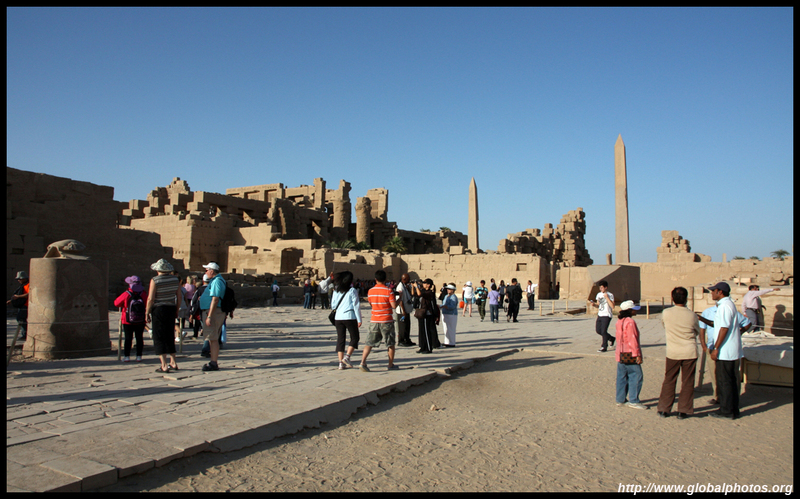 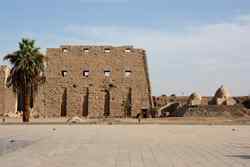 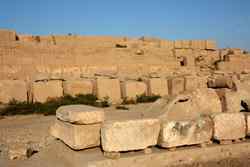 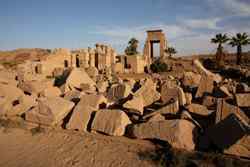 Heading into the complex, the ruins become more and more visible further in, although some columns, obelisks, and statues are still intact. 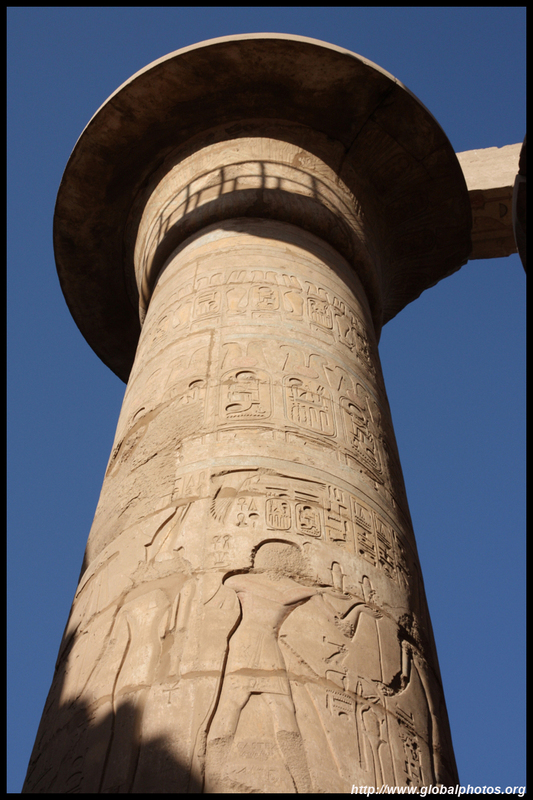 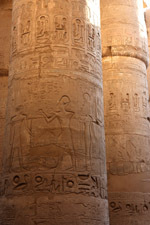 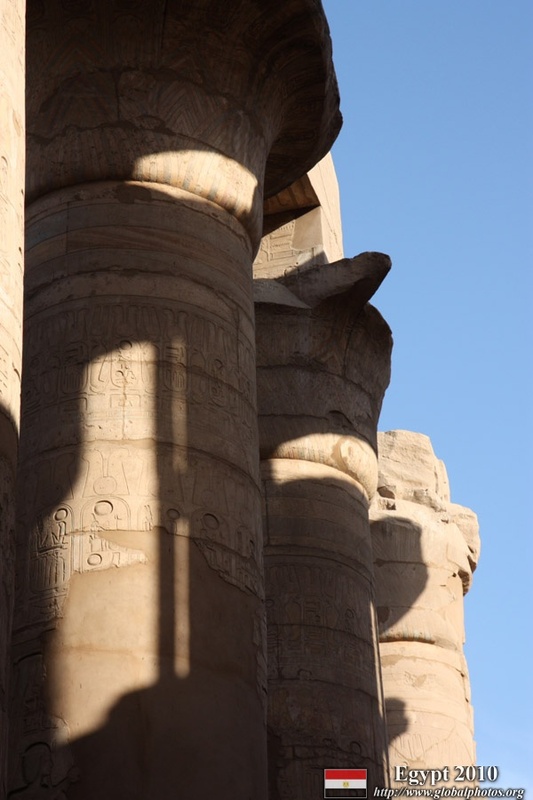 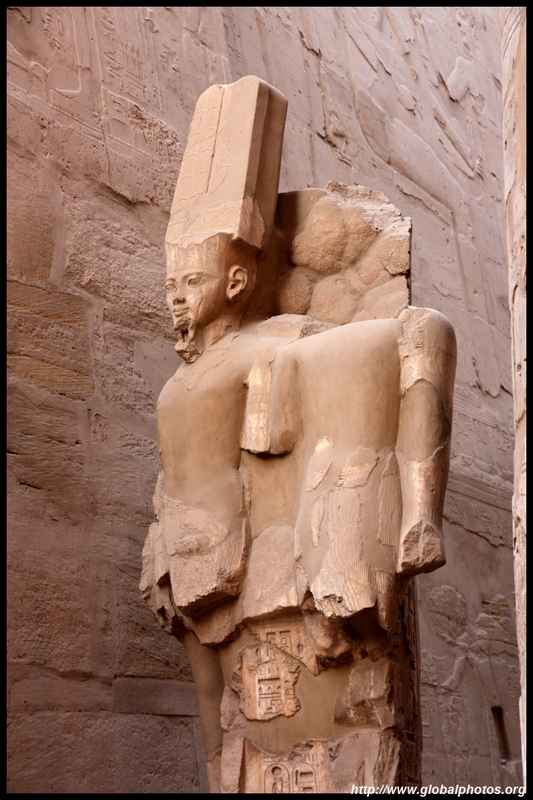 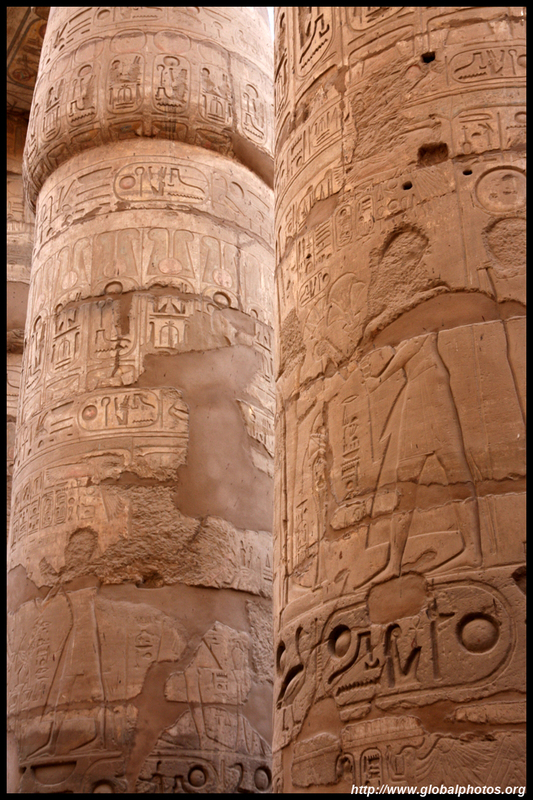 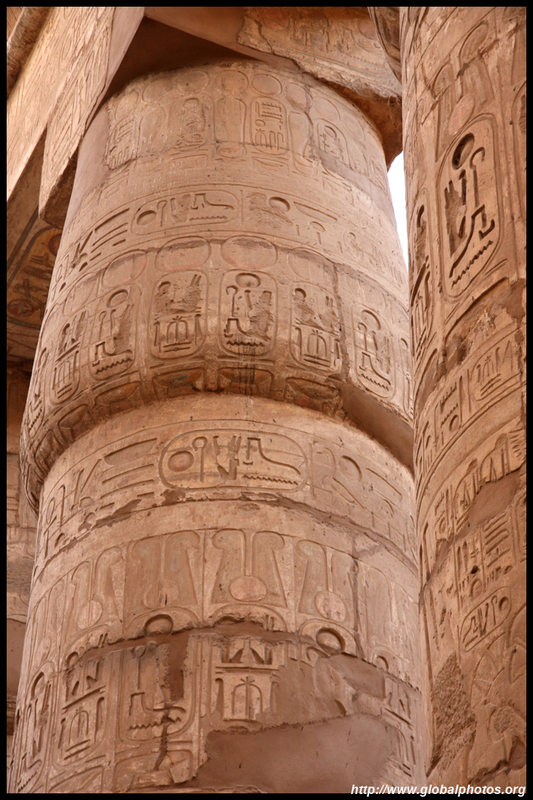 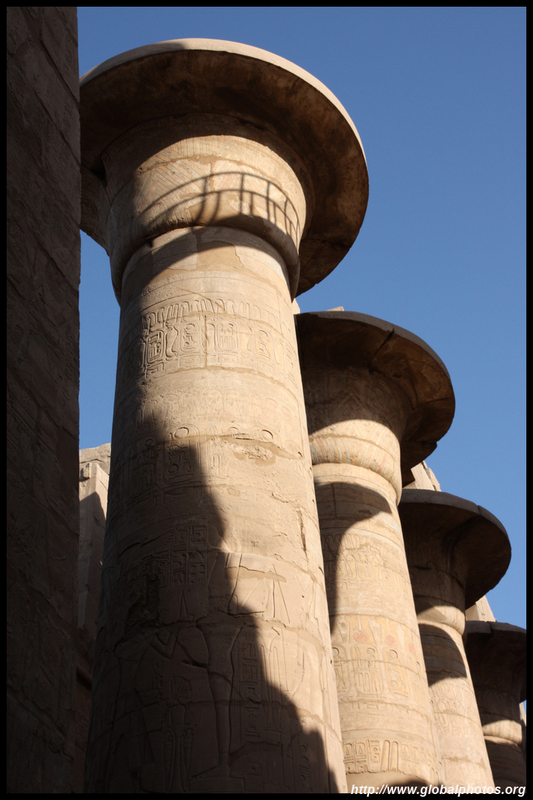 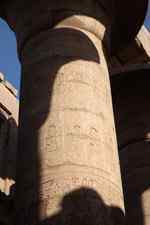 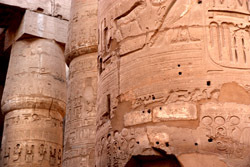 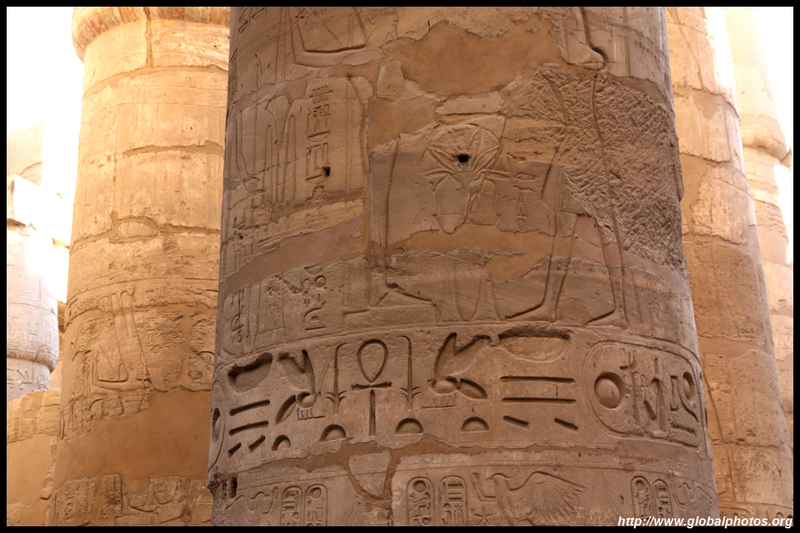 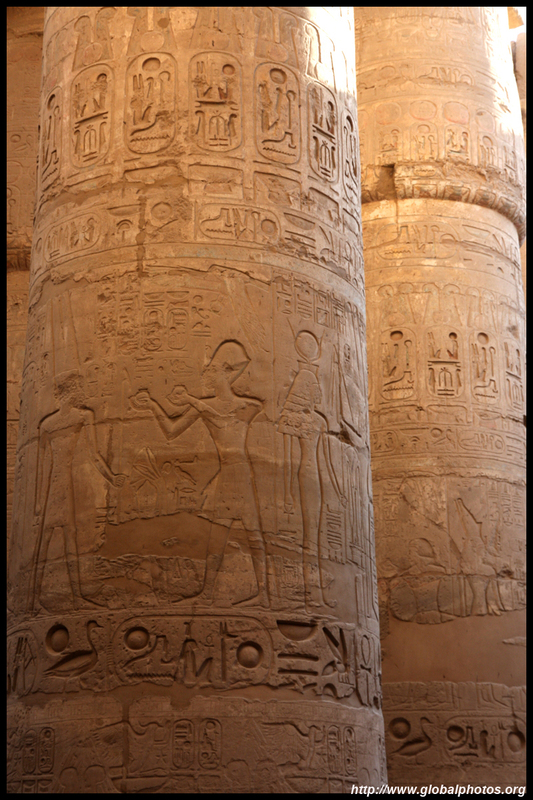 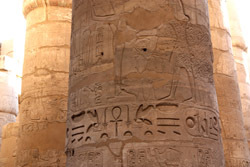 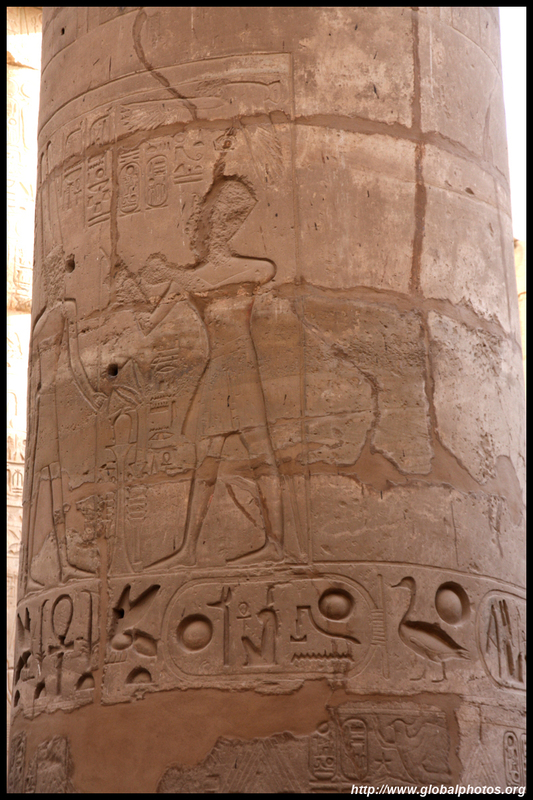 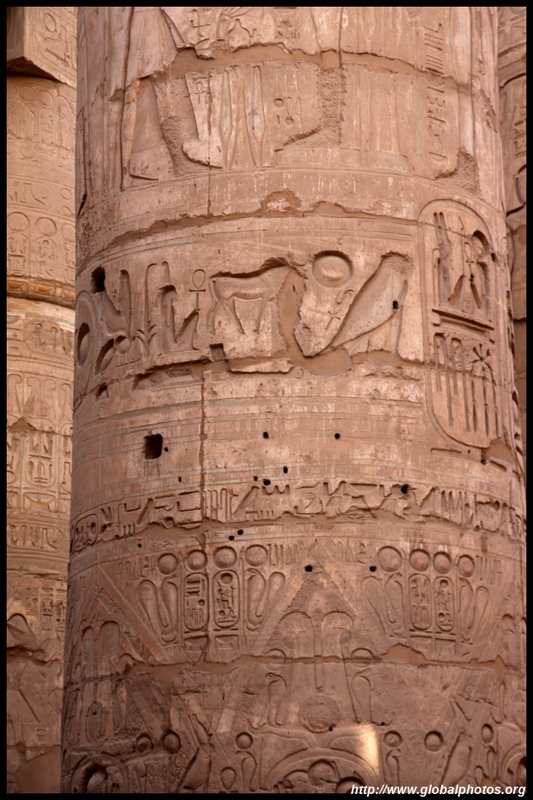 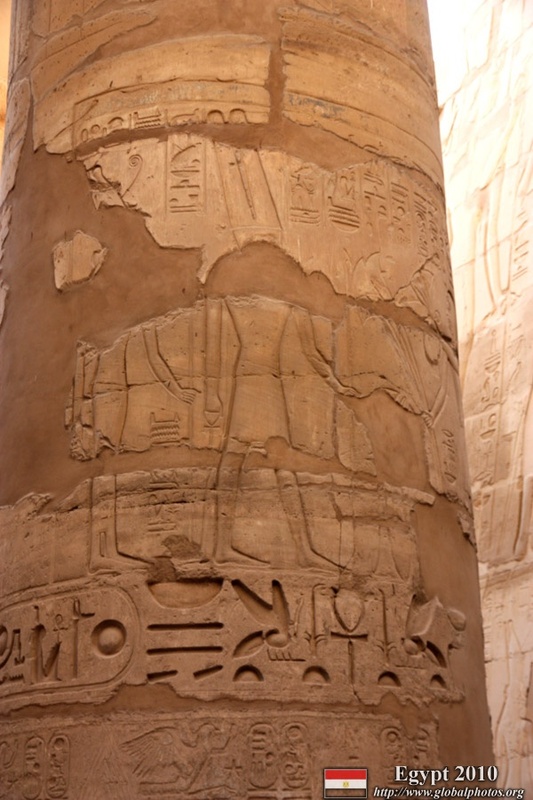 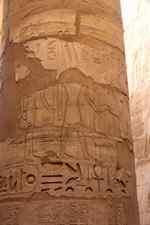 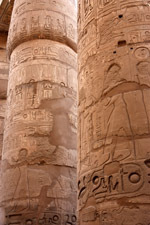 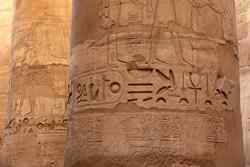 The hypostyle hall no longer has a roof, but there are 134 tall columns to amaze the visitor. 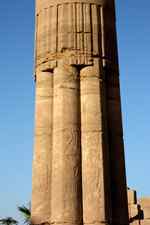 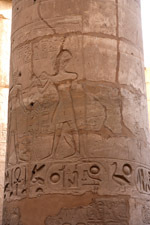 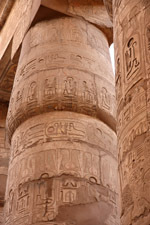 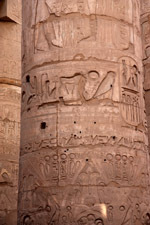 The columns are carved, and a walk here may take a whole day to review each column's details. 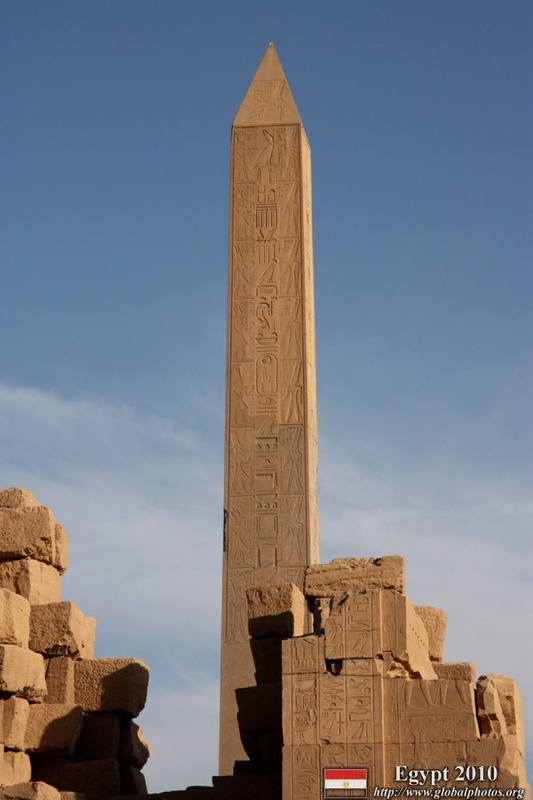 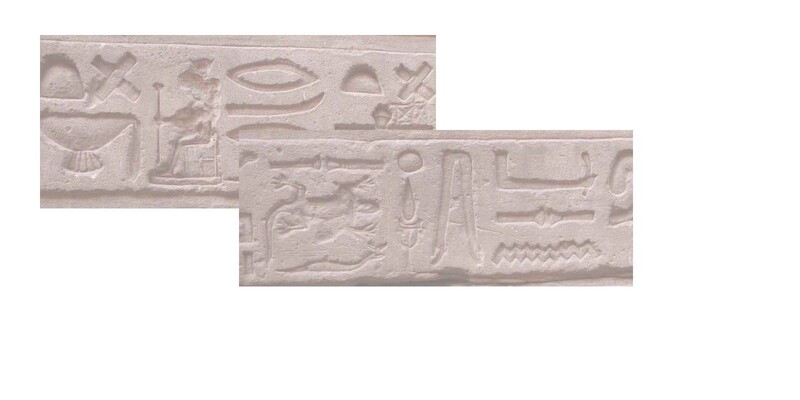 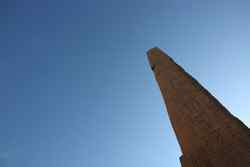 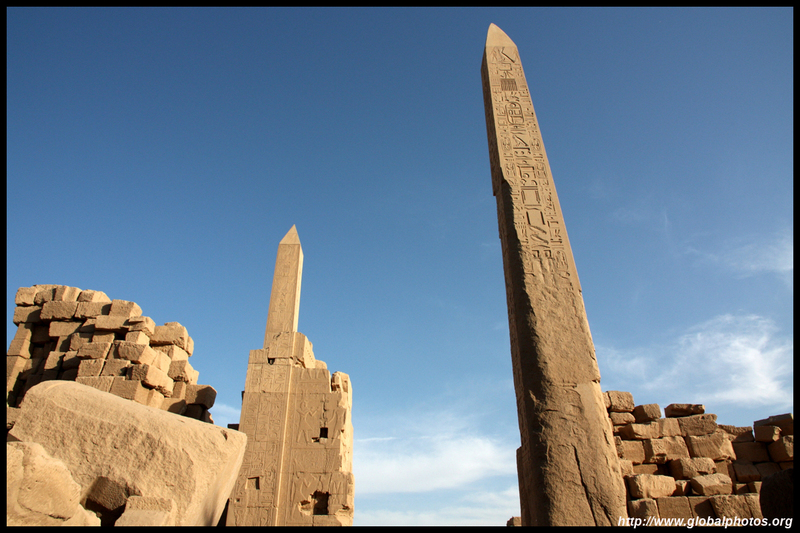 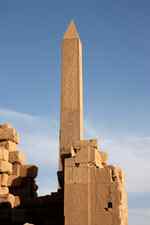 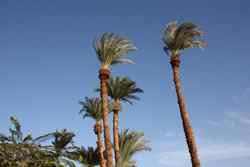 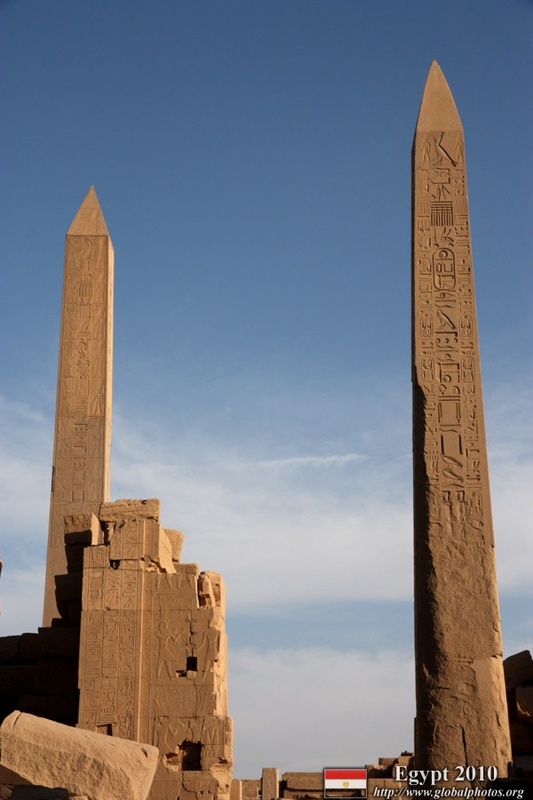 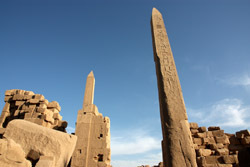 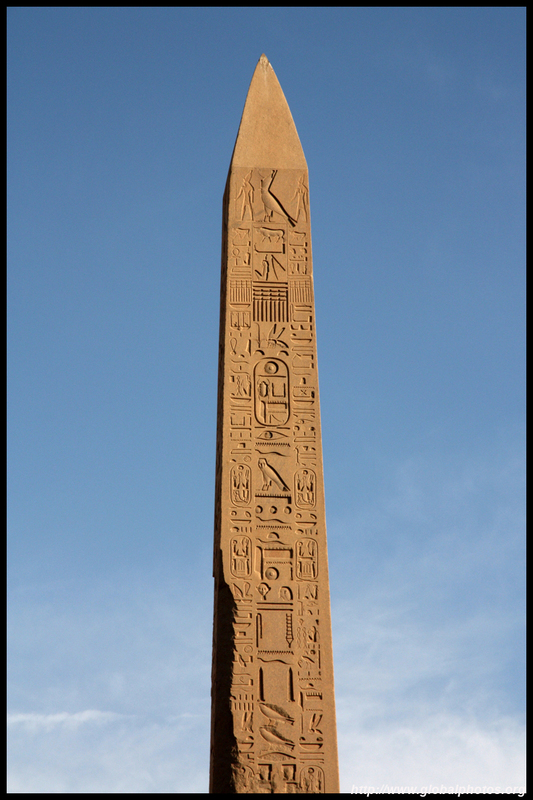 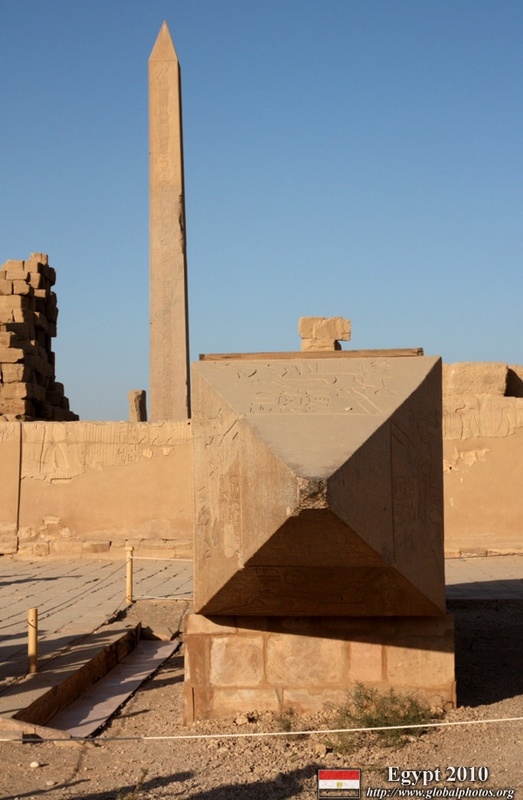 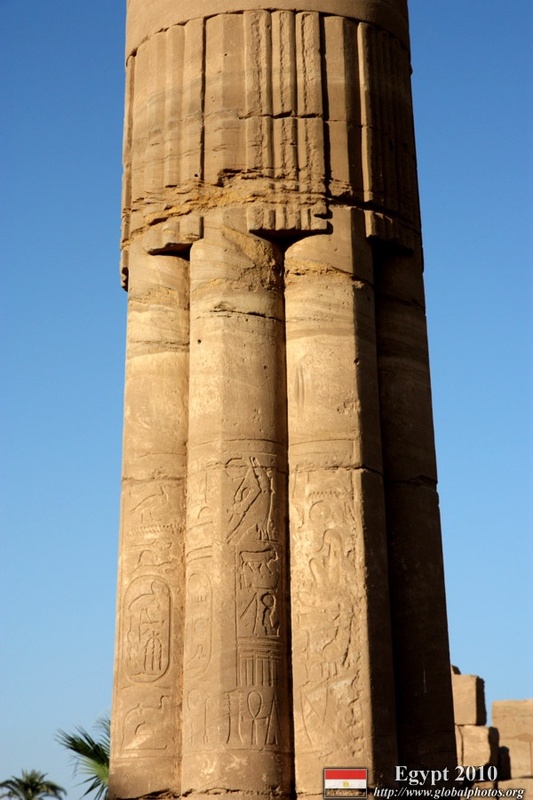 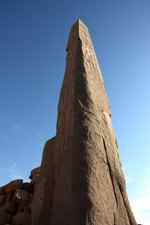 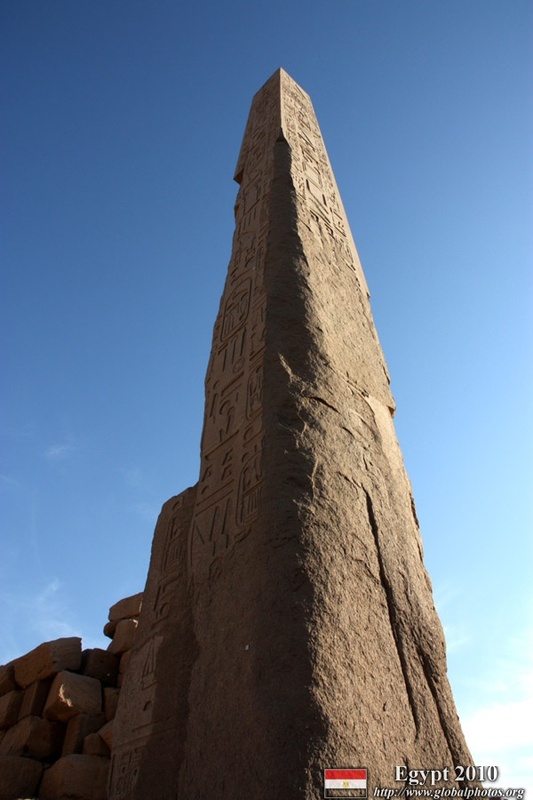 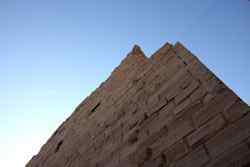 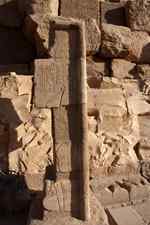 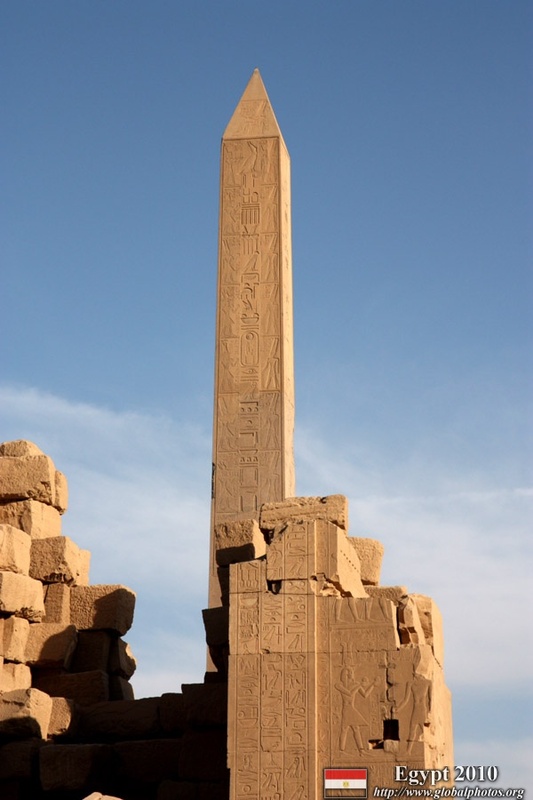 There are 3 obelisks that have survived the torture of time. 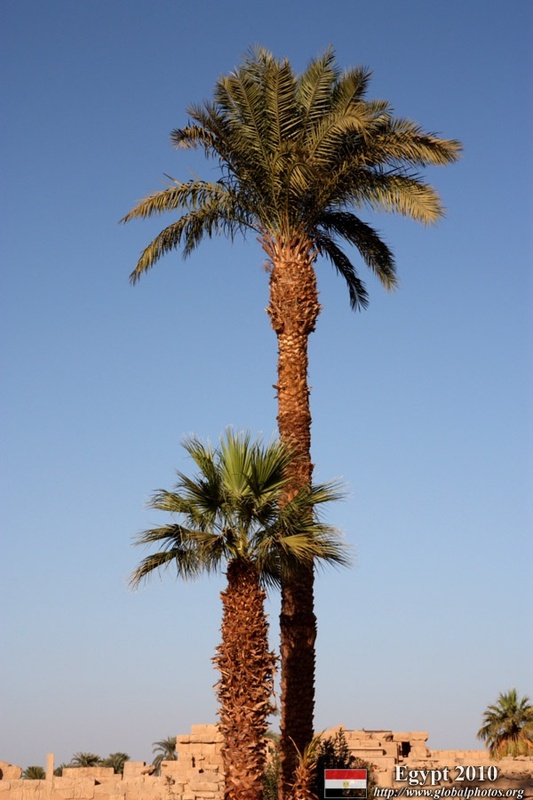 These 2 are still standing, and the 3rd one is now lying on its side nearby. 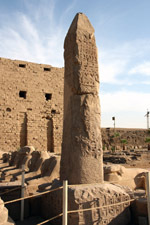 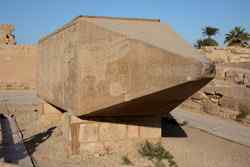 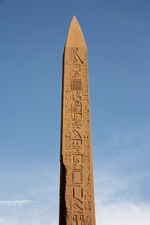 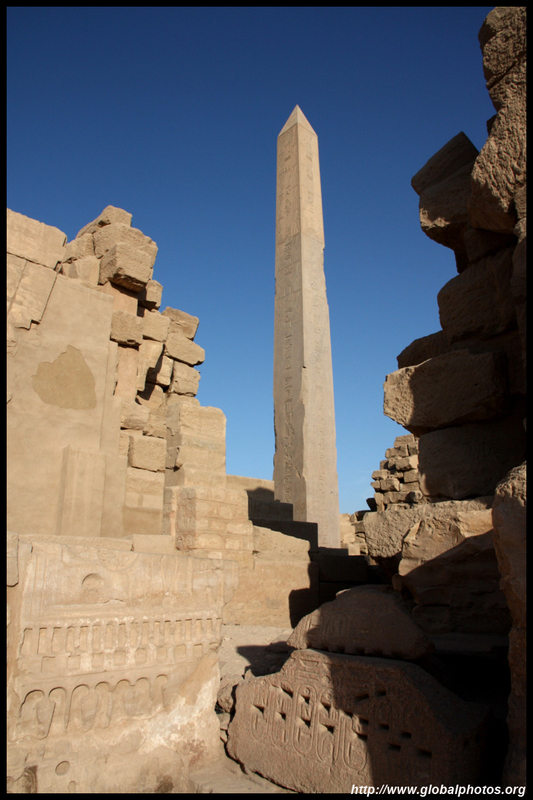 Here is the 3rd obelisk - fallen on its side, but well-preserved. 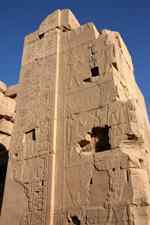 Perhaps because this part of the temple is in worse shape, tourists stayed away and I had the site to myself in relative tranquility.